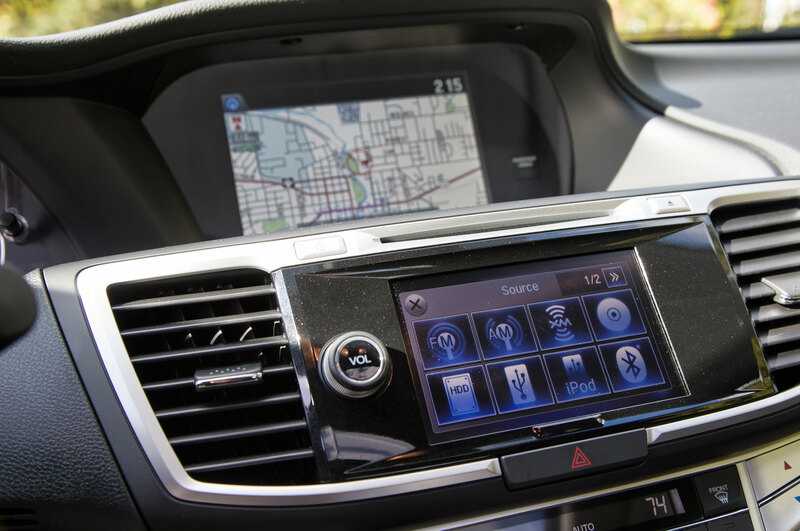 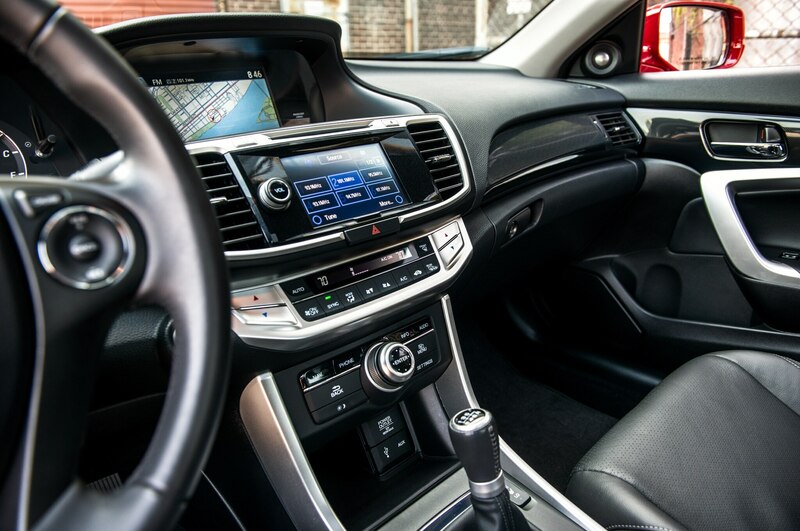 With its most recent redesign, the Honda Accord went from blandly competent to truly impressive, earning an AUTOMOBILE All-Star award in the process. 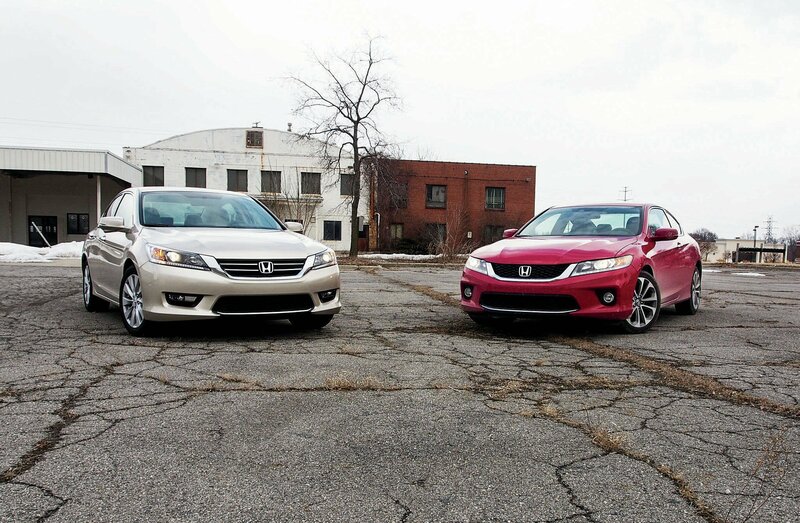 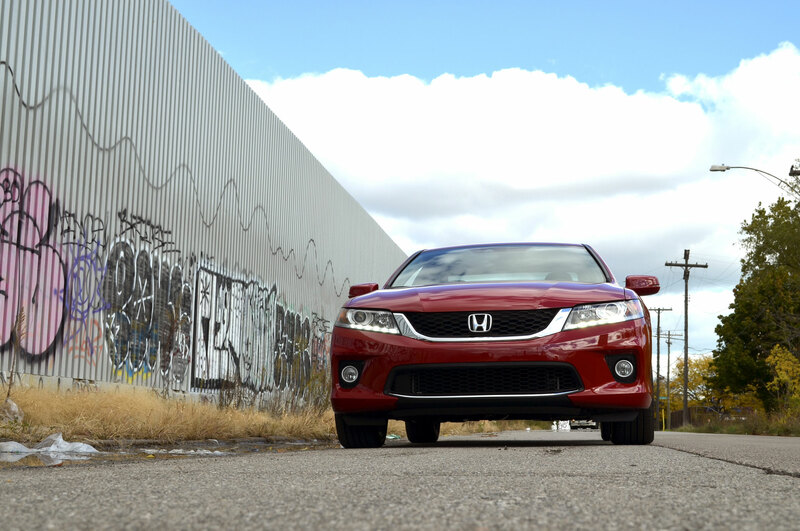 And when we gathered the latest crop of midsize sedans, the Accord came out on top. 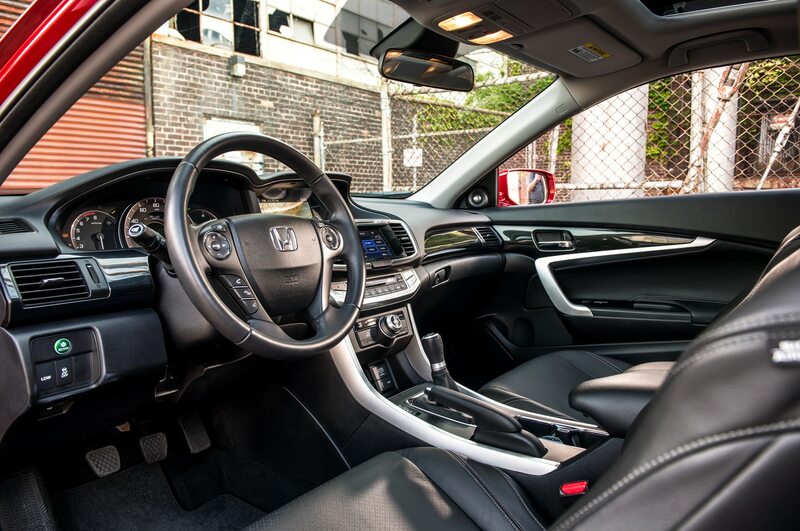 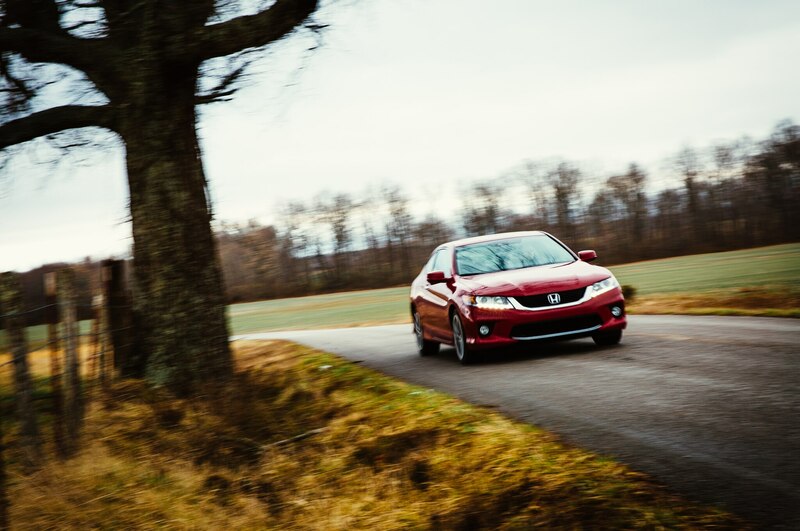 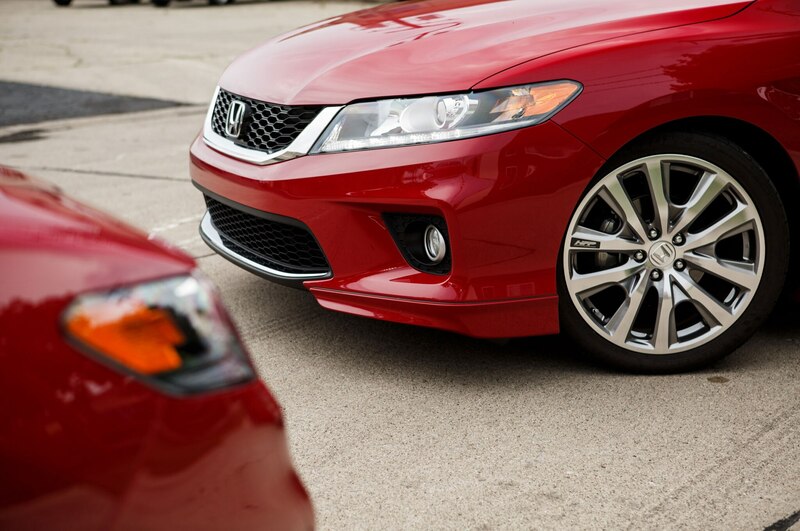 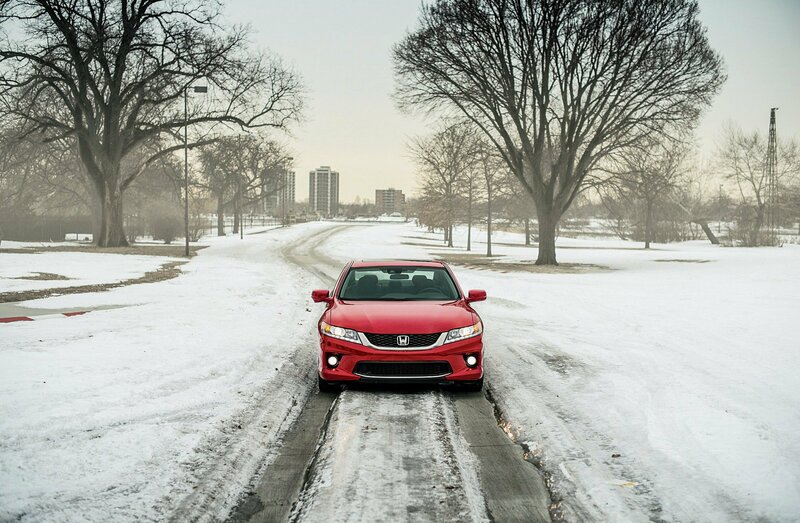 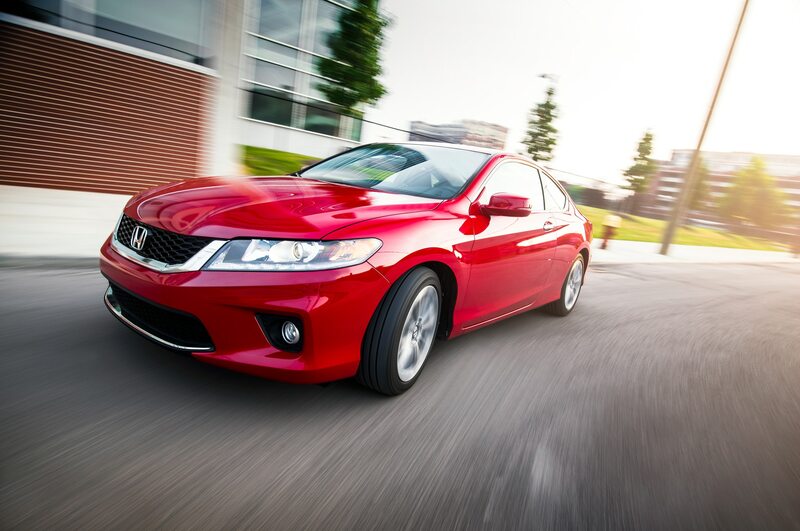 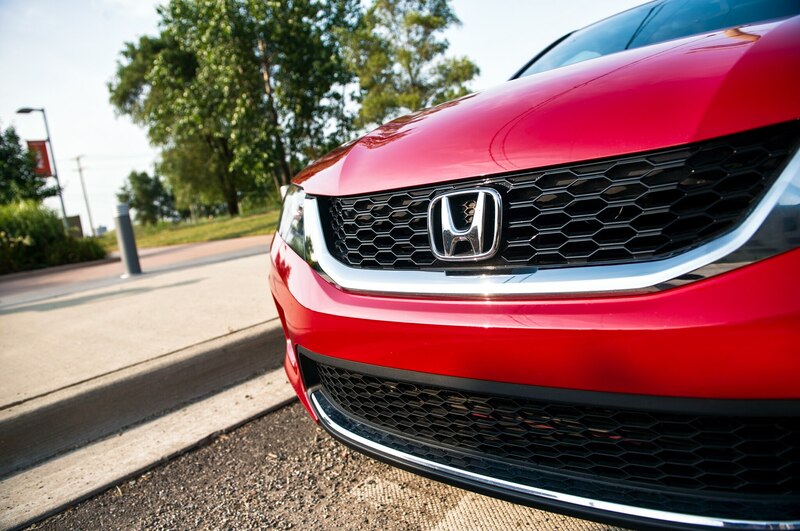 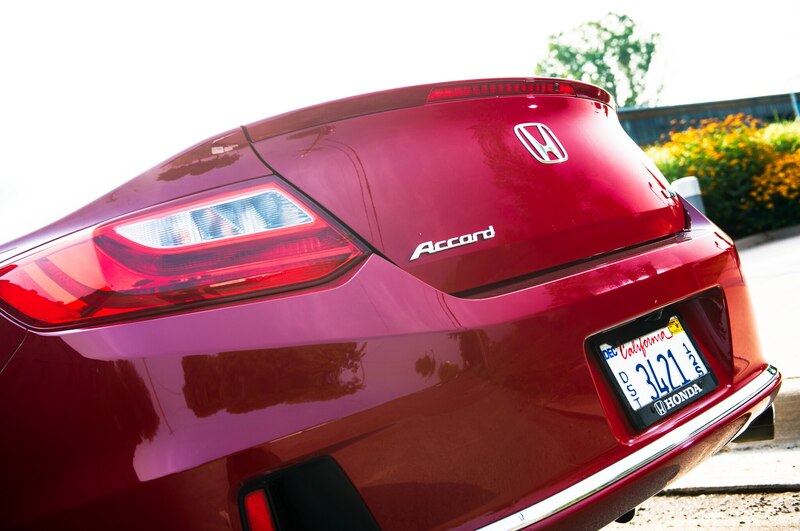 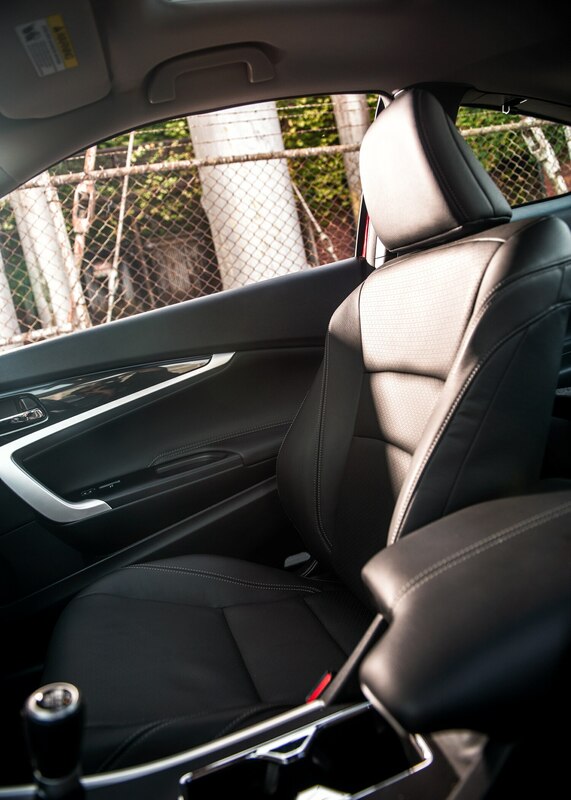 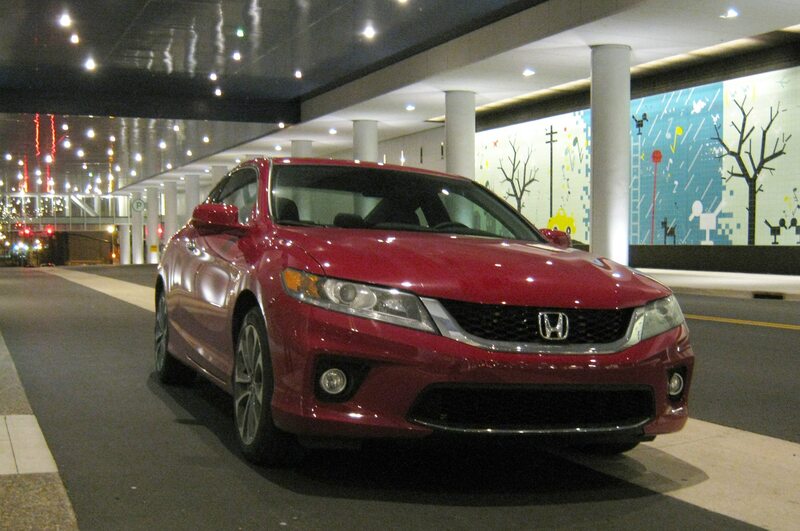 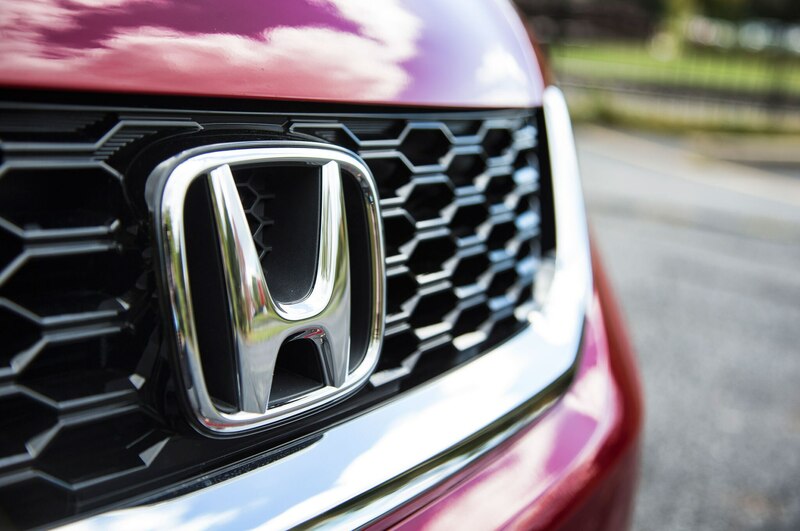 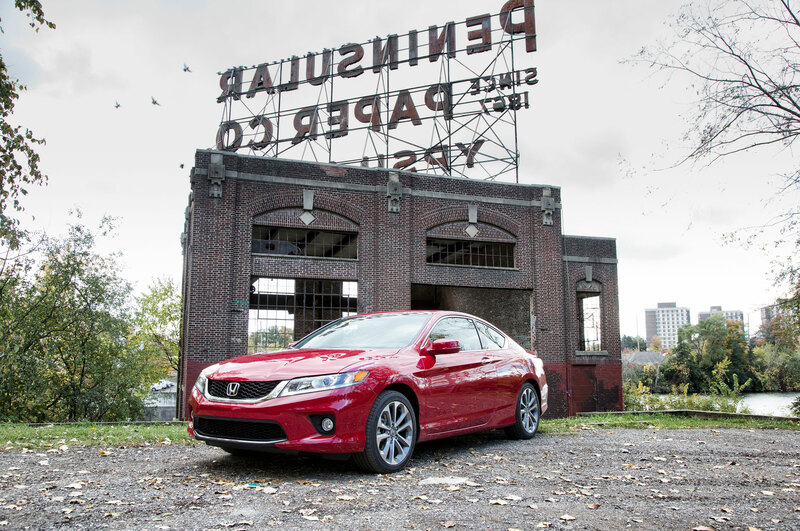 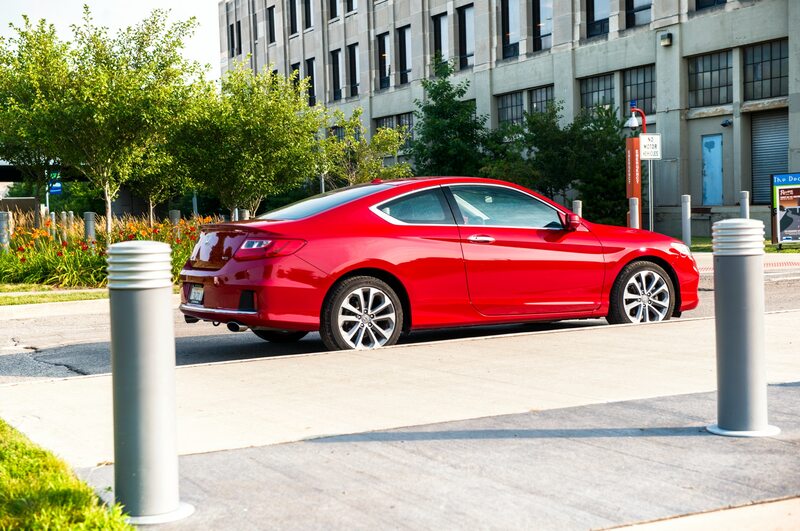 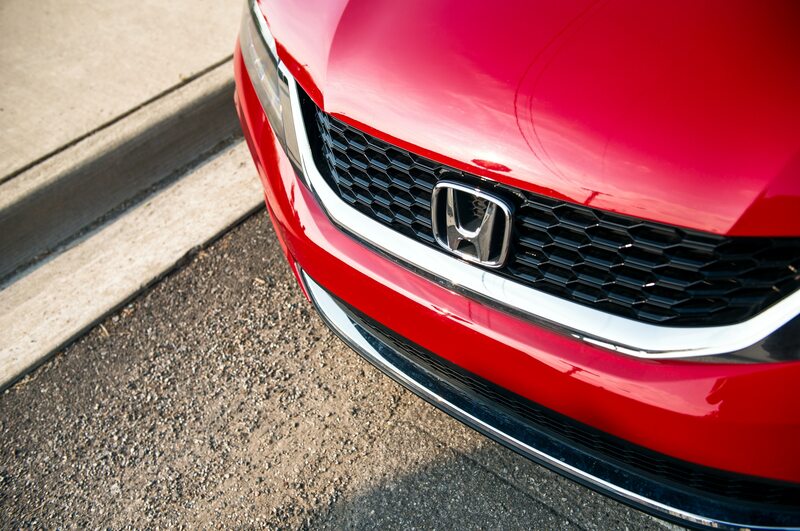 Based on all the accolades, we decided that the new Accord had earned itself a long-term stay with us. 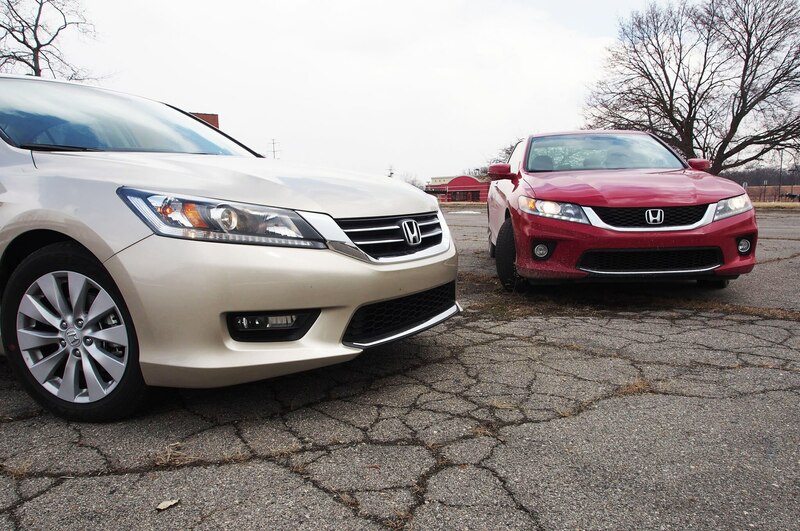 But when it came time to spec our Accord, we wavered. 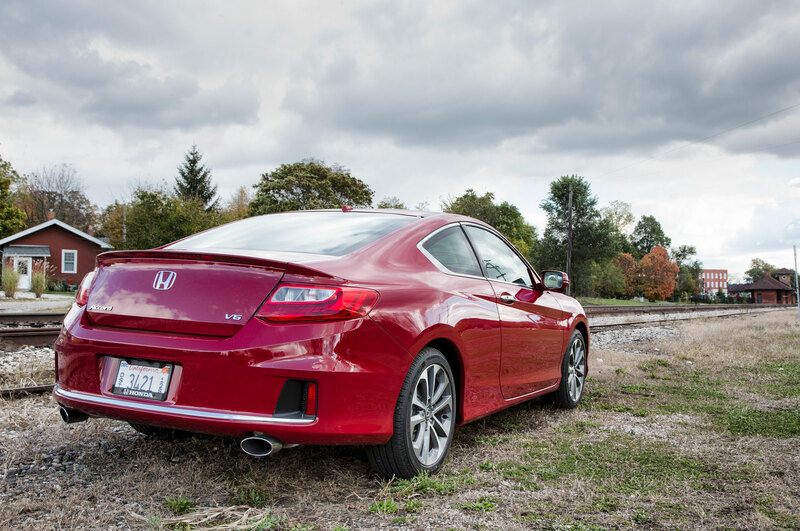 Rather than getting a four-cylinder Accord sedan, the Accord everybody buys, we started thinking about going for something more offbeat, more enthusiast-oriented, more interesting. 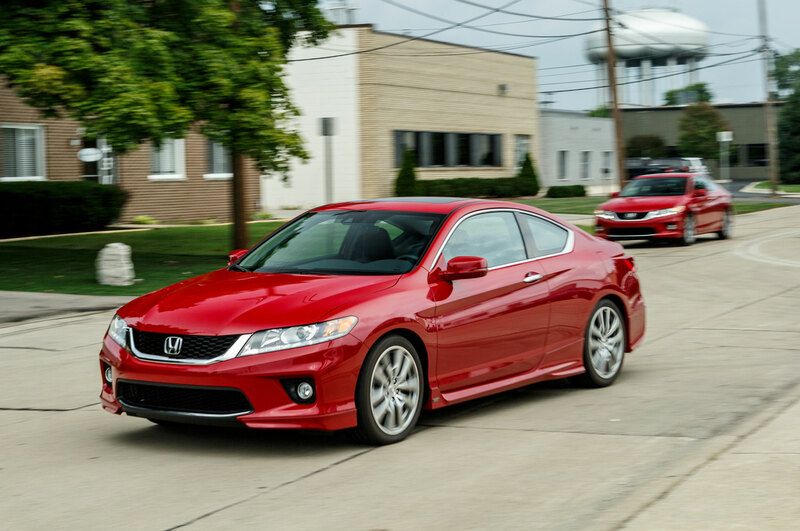 For instance, while V-6 engines have pretty much disappeared from mainstream midsize cars, Honda still offers one in the Accord. 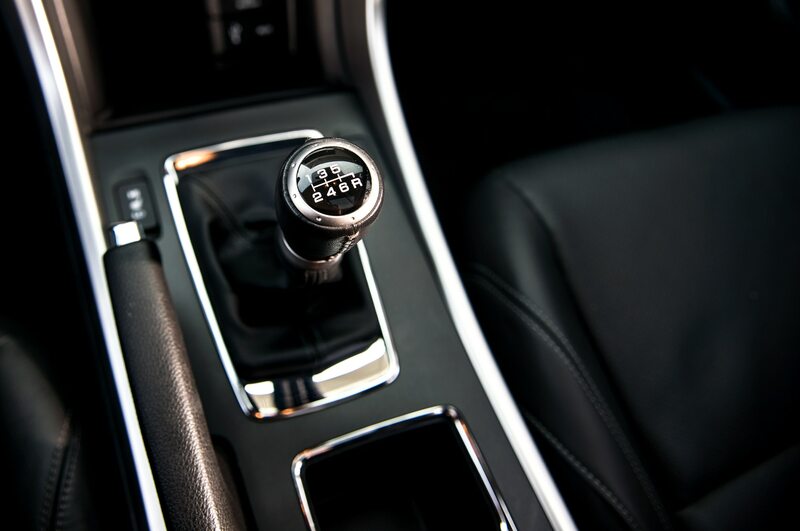 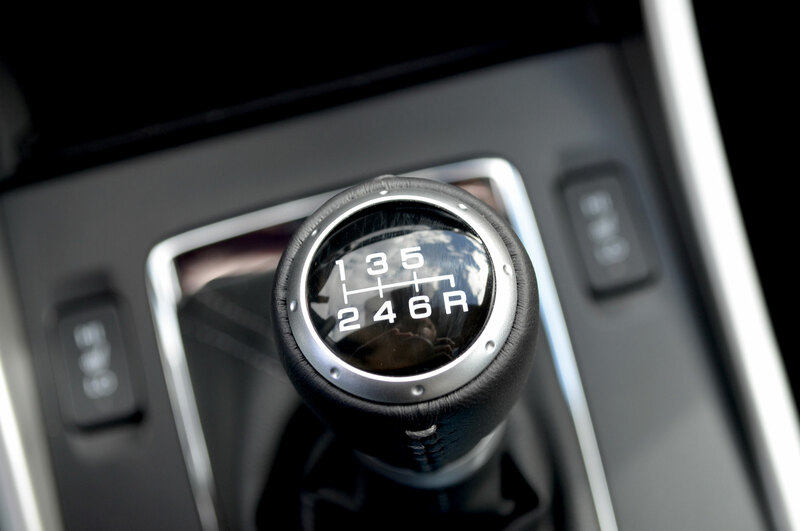 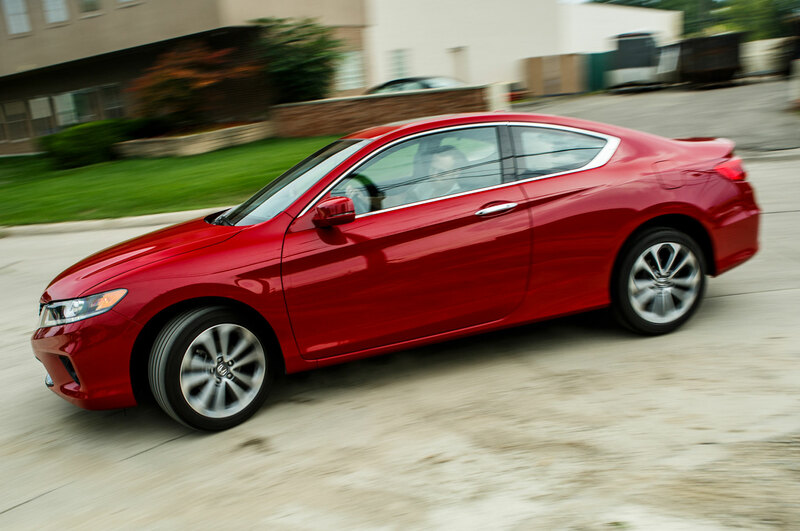 Not only that, but you can pair it with a six-speed manual transmission in the Accord coupe. 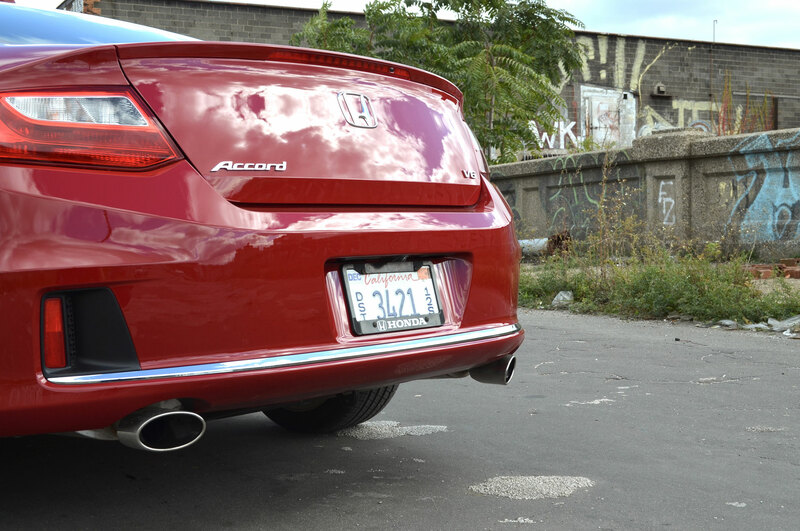 So we turned our backs completely on the mainstream and went the full iconoclast route: a two-door EX-L with a V-6 and a stick. But would we regret our choice of an outlier Accord? 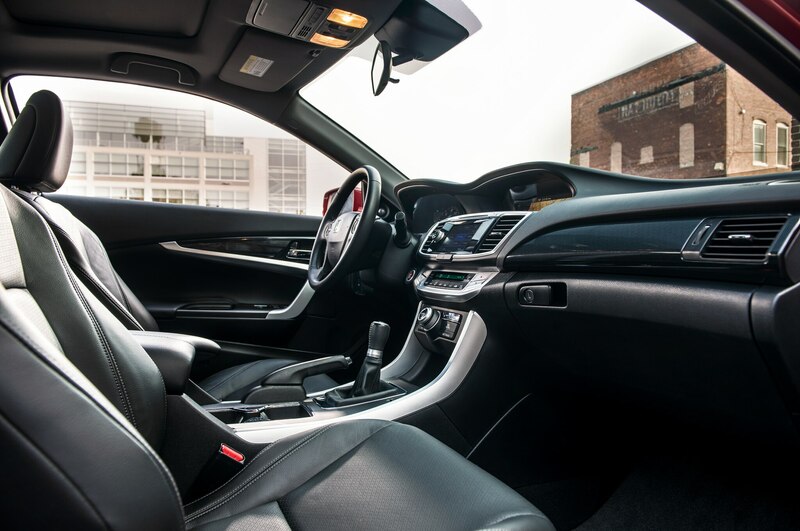 No nonsense: The interior generally won friends for its tasteful materials, clear switchgear, and evident quality. 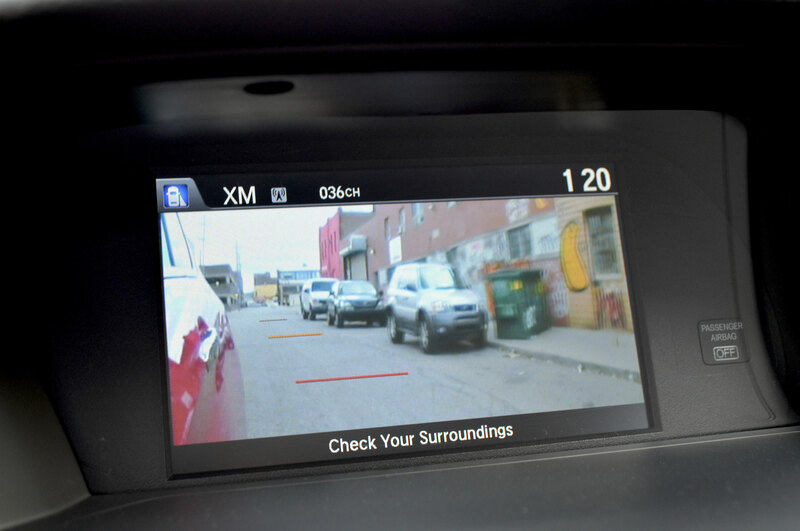 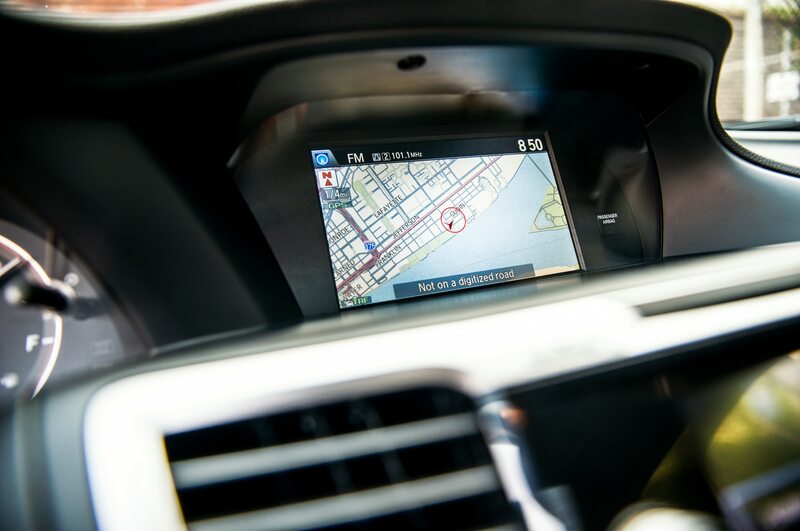 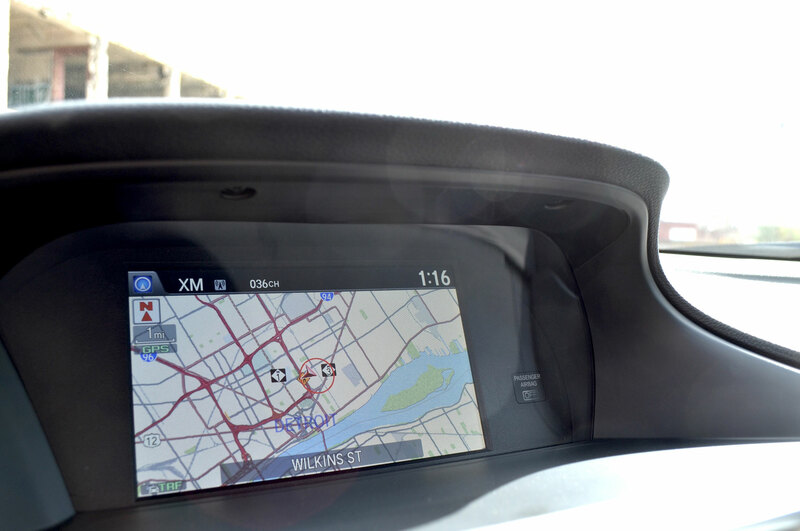 In happier tech news, everybody loved Honda’s LaneWatch system, in which a camera located in the right-hand side-view mirror projects an image onto the navigation screen when you flick the right turn signal. 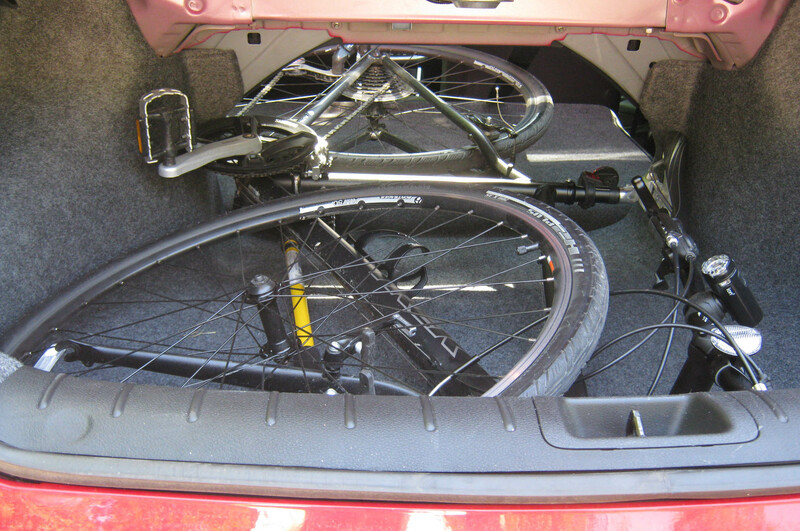 Its usefulness blossomed when spring filled our many local bike lanes. 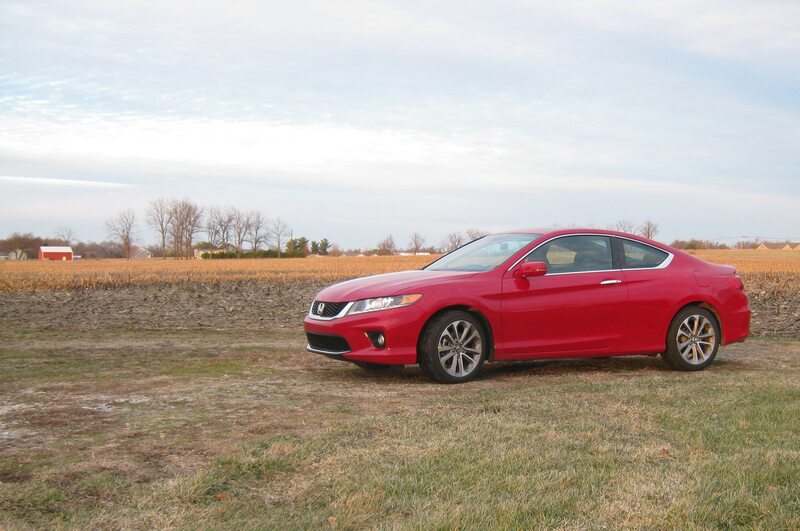 Staffers groused that the 28-mpg EPA highway figure, confirmed in our own road-trip experience, was pretty lame for a midsize car. 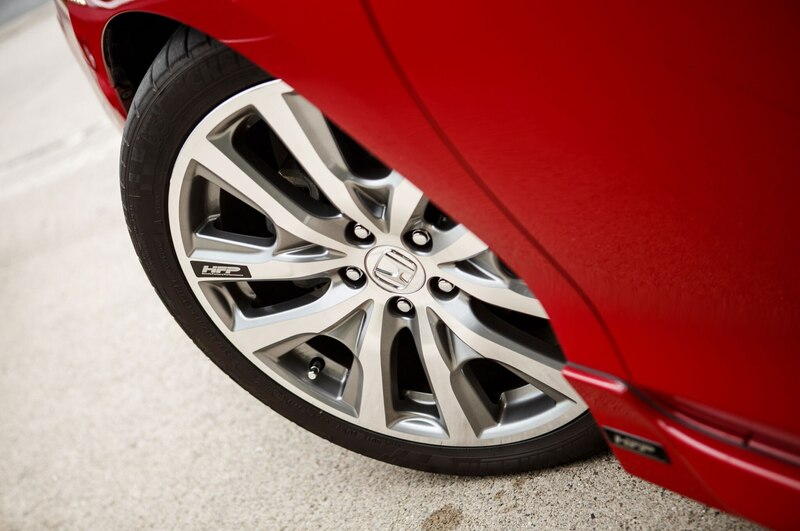 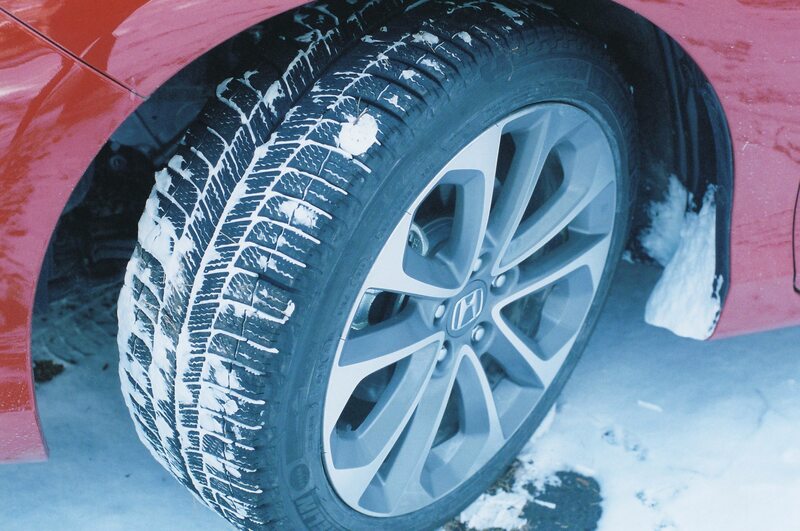 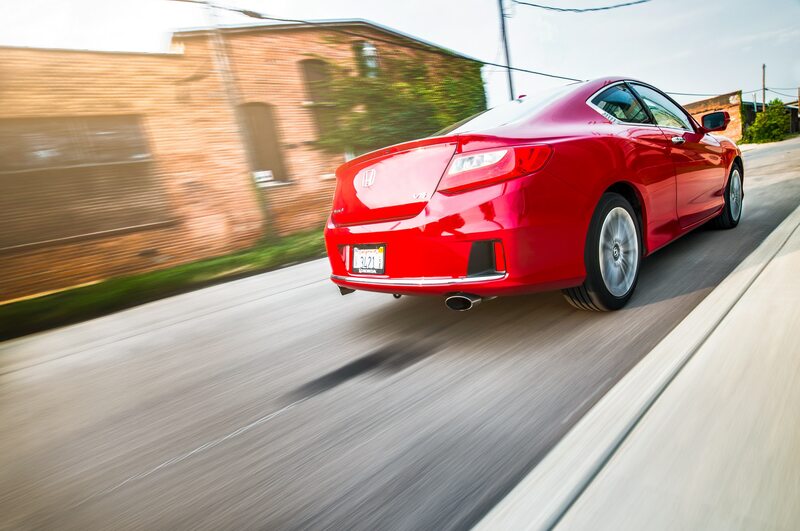 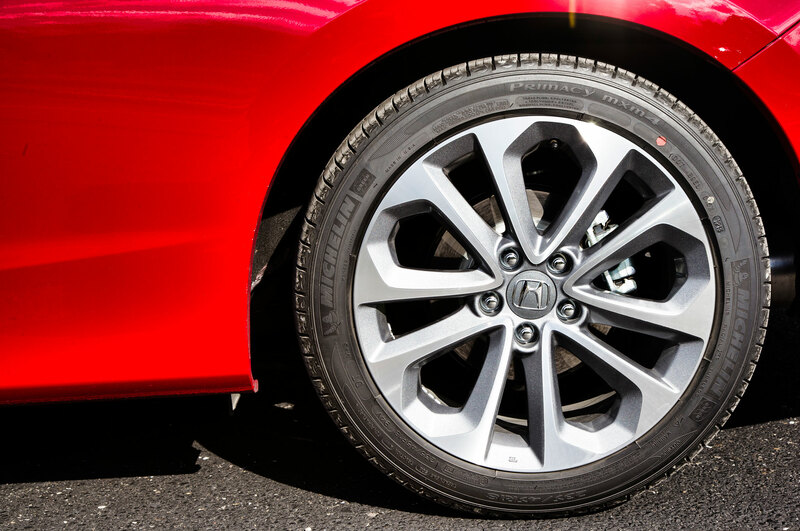 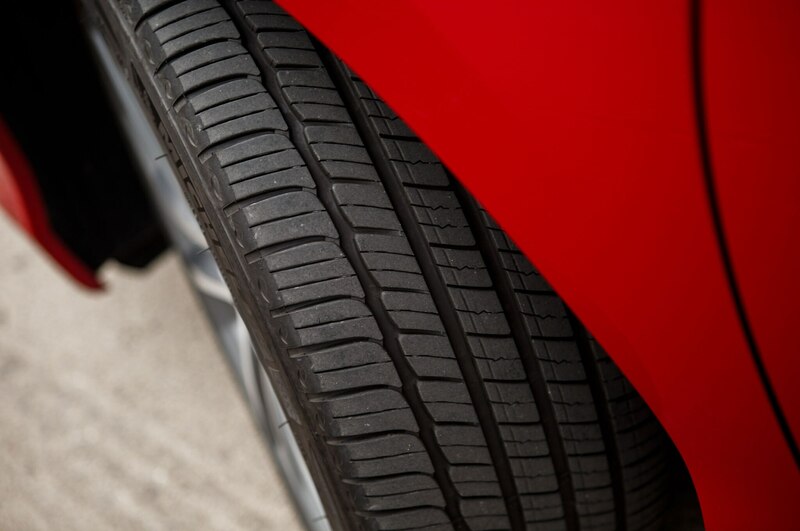 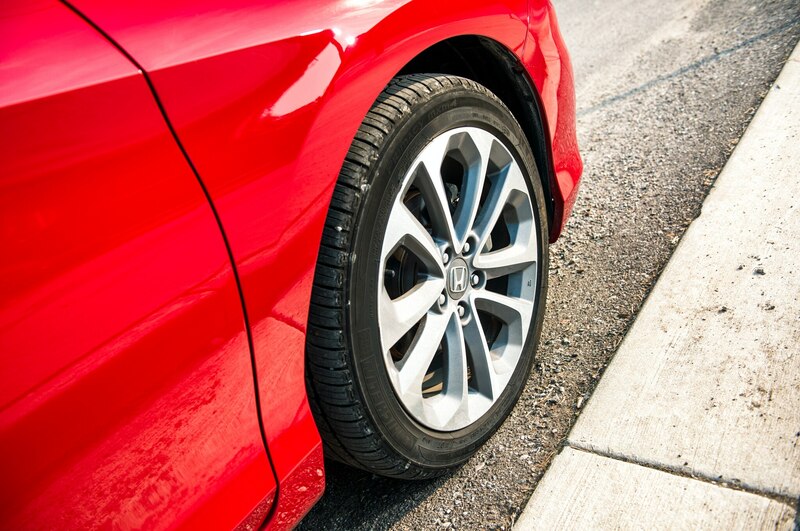 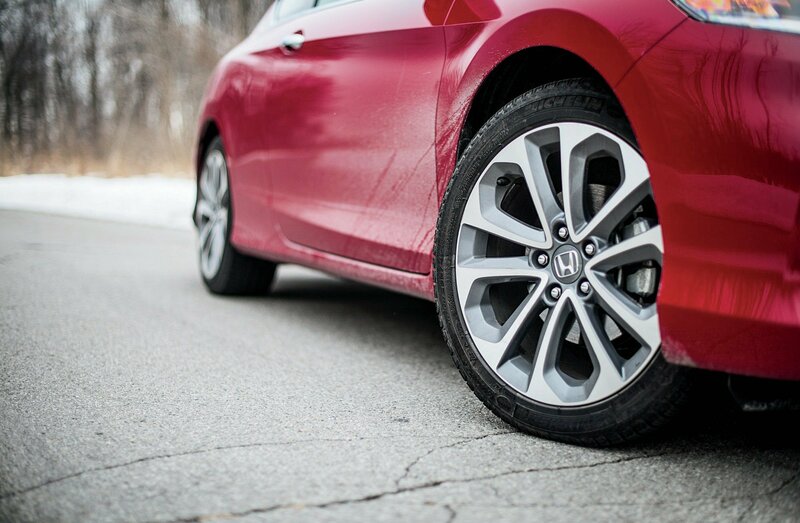 Achilles’ wheels: The Accord’s front tires frequently failed to put the V-6’s power to the ground. 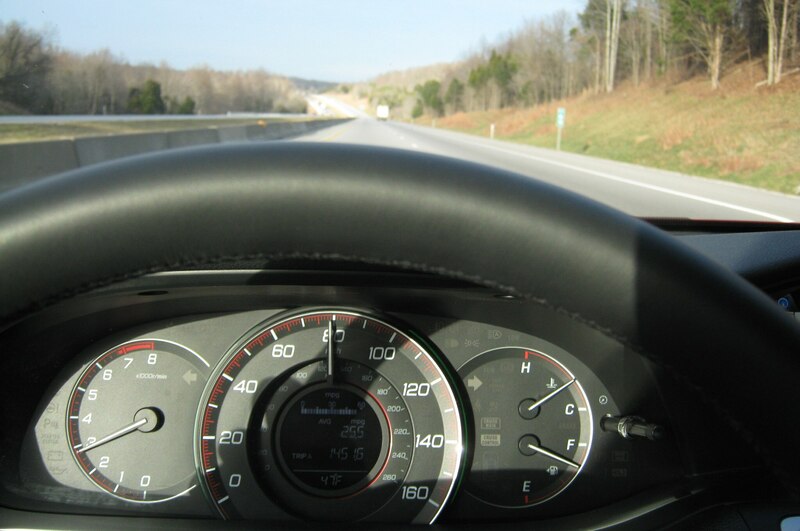 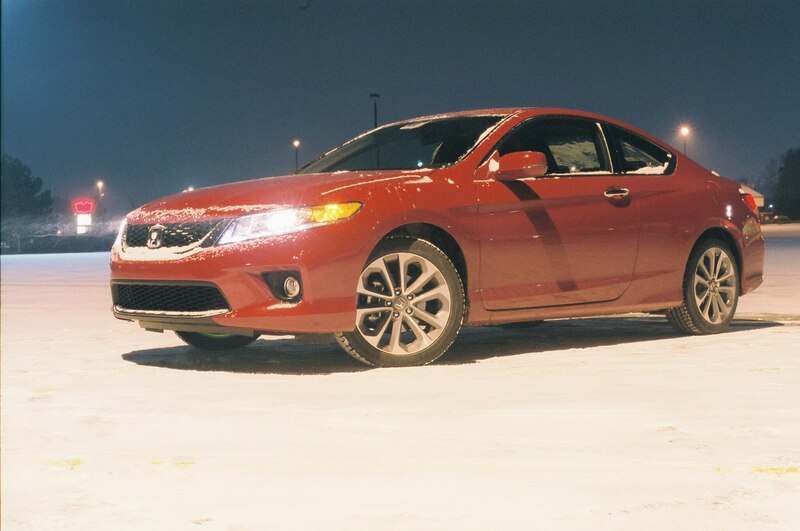 An optional summer tire and sport suspension package (not shown) didn’t help calm torque steer. 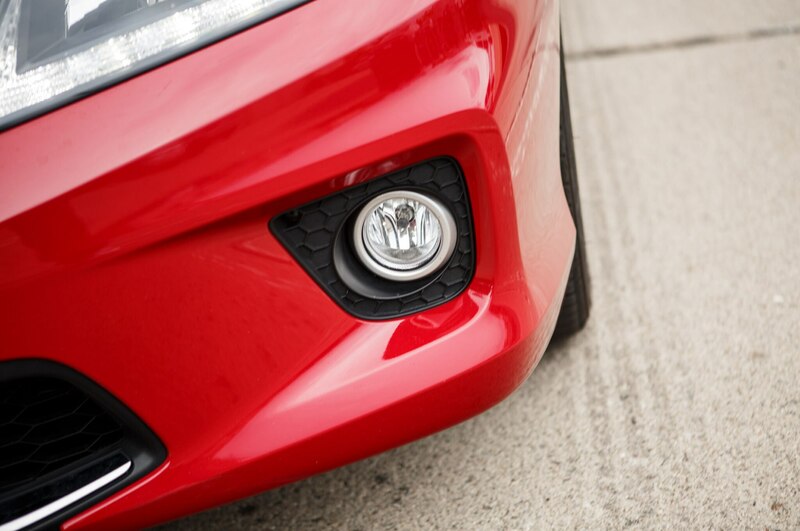 But doubts started to surface. 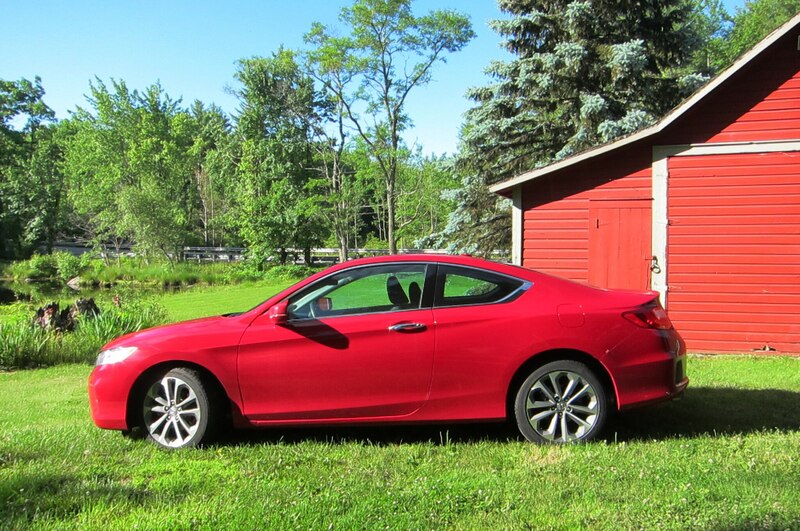 Staffers groused that the 28-mpg EPA highway figure, confirmed in our own road-trip experience, was pretty lame for a midsize car (a fact that was driven home when the 2014 Honda Accord shared time in our Four Seasons parking lot with the 460-hp Chevrolet Corvette, with its 29-mpg highway rating). 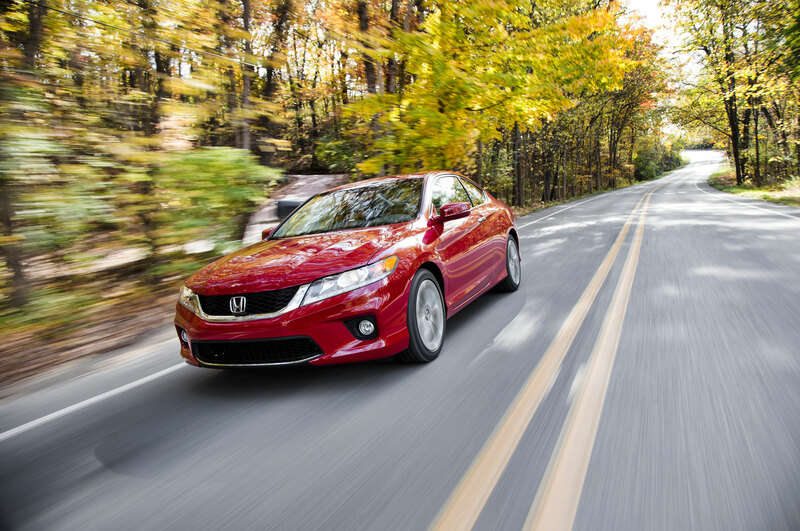 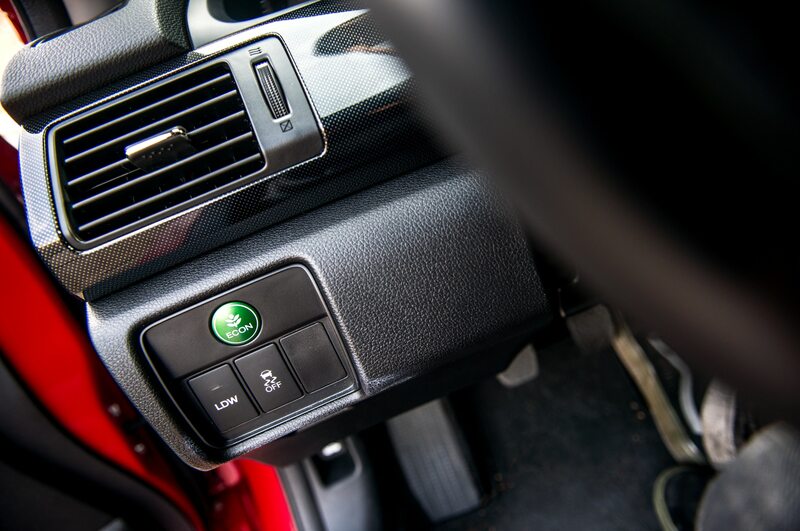 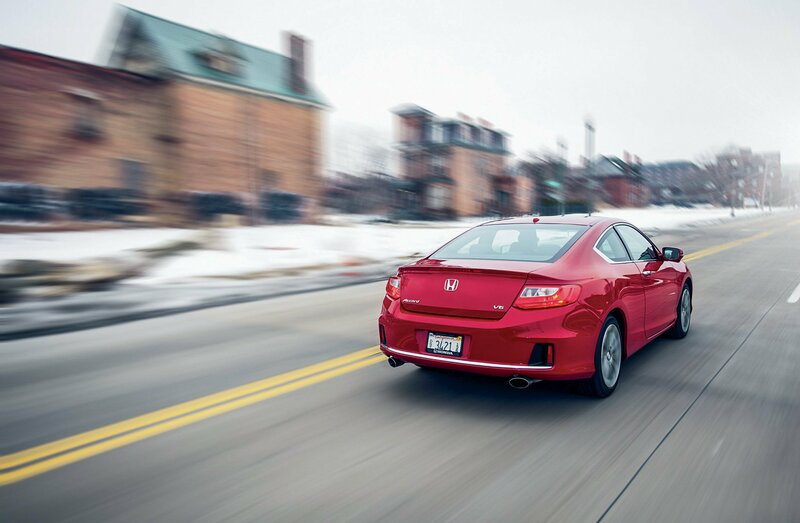 Honda doesn’t offer cylinder deactivation for the V-6 when it’s paired with the manual gearbox—only with the automatic, which nets 32 mpg highway. 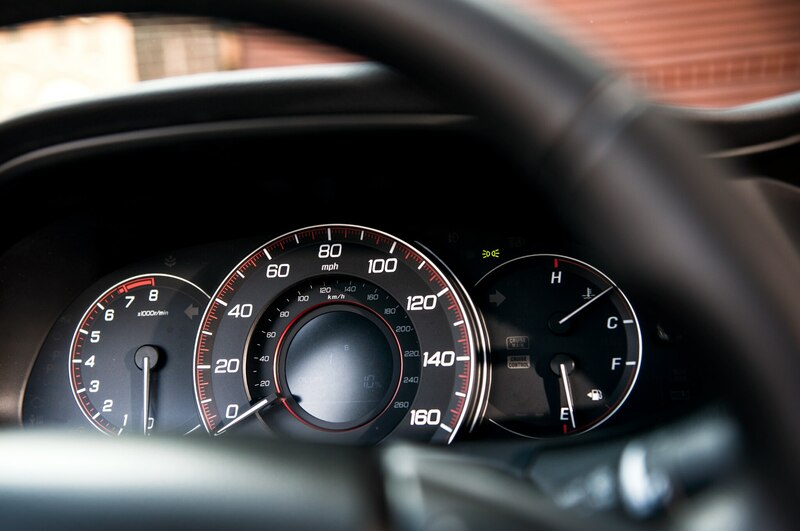 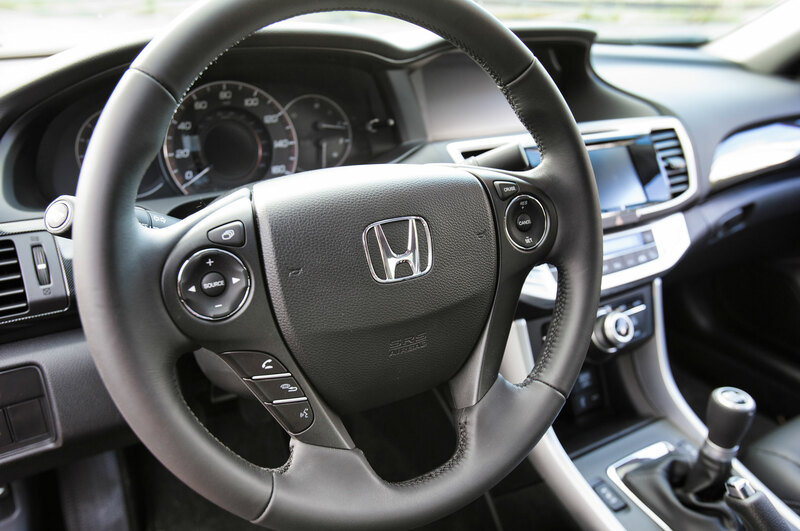 More so than fuel economy, though, the issue was that the 2014 Honda Accord had a very hard time getting its swell powertrain’s output to the ground. 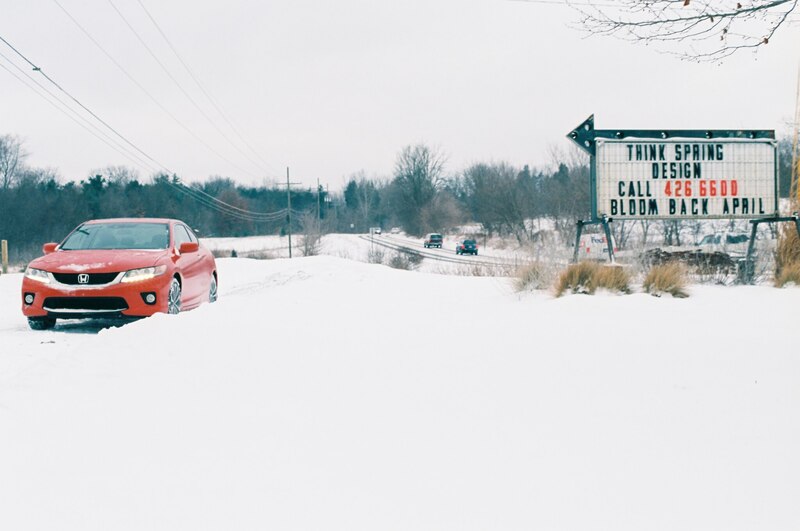 During the season’s first snowfall, Zenlea noted that the prevalence of wheelspin made first gear pretty much useless, but then he amended that thought: “Actually, first gear is pretty useless no matter what the road conditions—the big six is just too much for the front tires.” It was a sentiment echoed often in the logbook: The engine overwhelms the front tires. 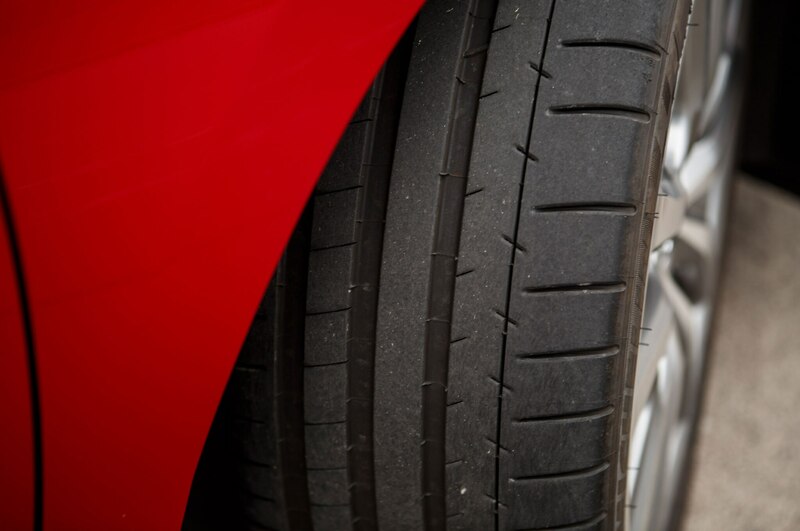 We theorized that a sportier suspension tune and grippier tires might be in order. 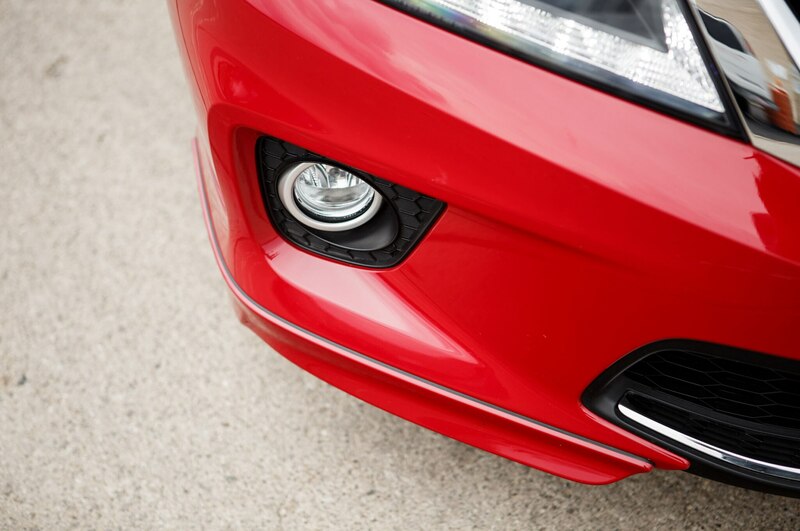 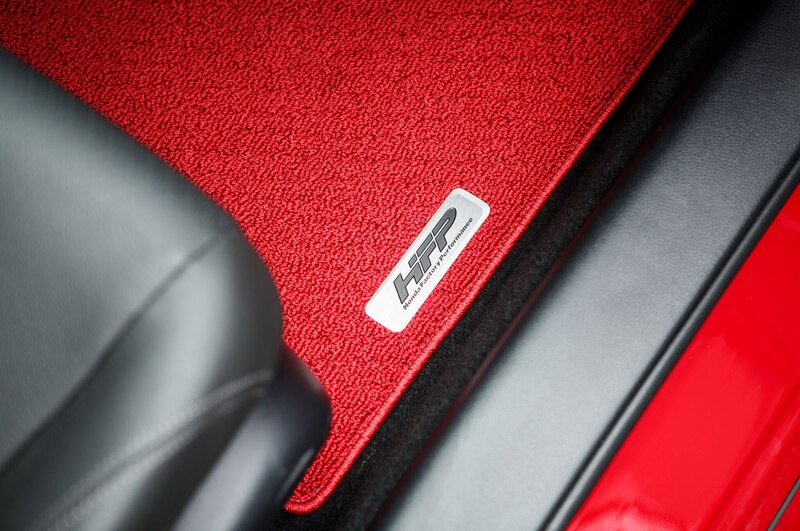 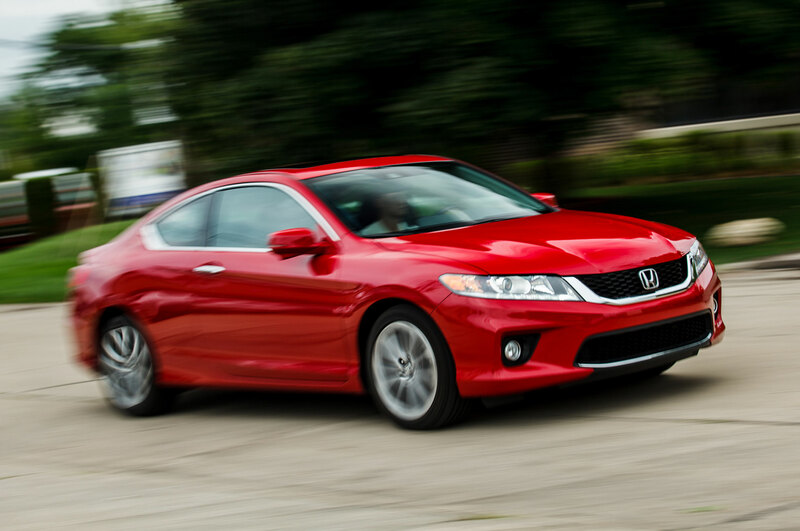 As it happens, Honda offers just such a prescription in the form of the HFP (Honda Factory Performance) package. 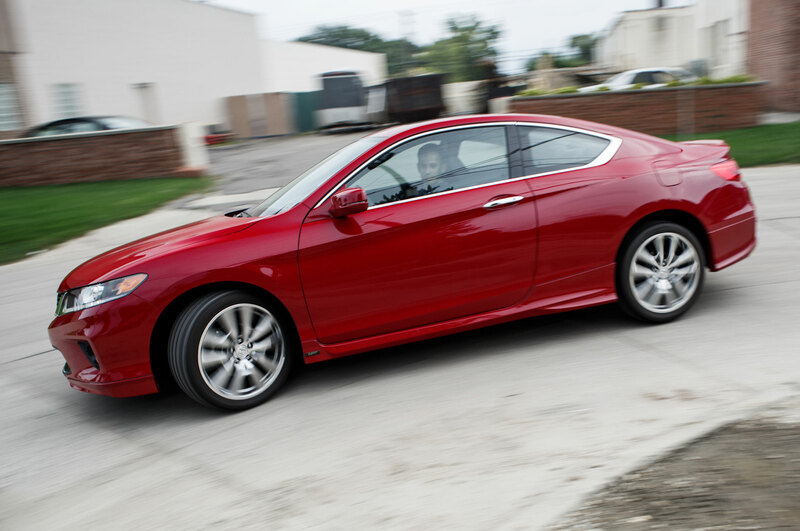 In addition to the expected visuals, the dealer-installed package for the Accord V-6 includes stiffer dampers, lowering springs, and larger 19-inch wheels wrapped in Michelin performance rubber. 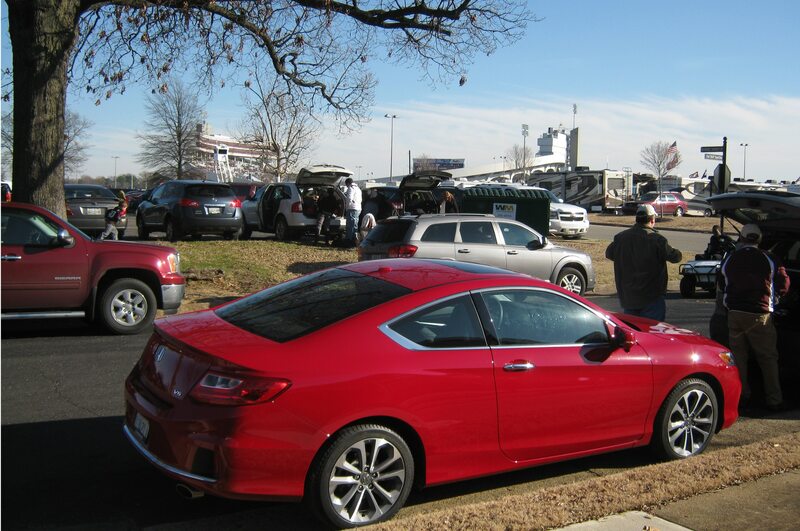 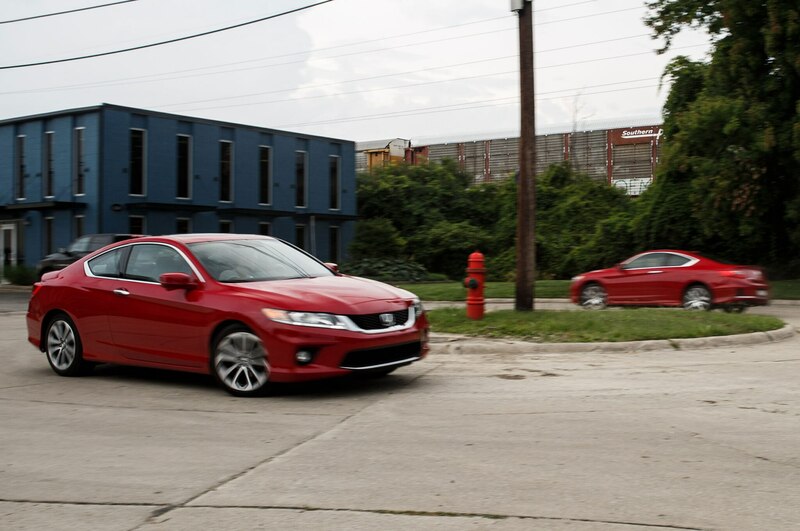 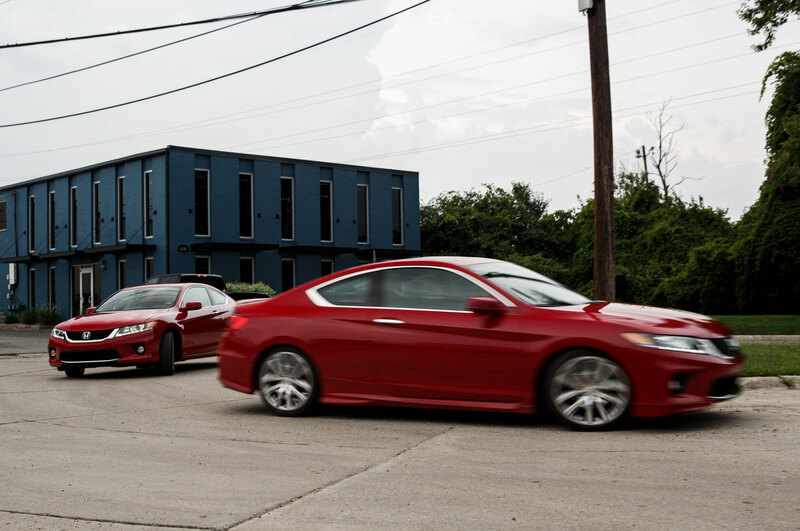 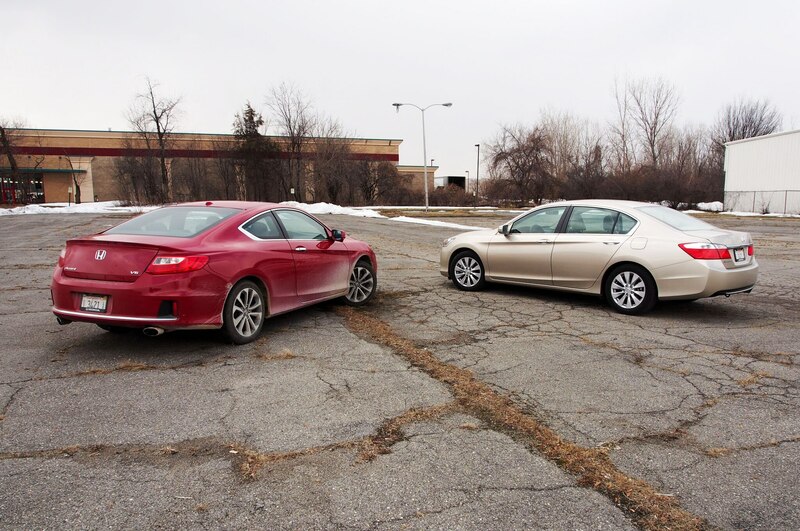 When an HFP-equipped Accord identical to our coupe arrived in the office, a back-to-back comparison showed that the package did indeed improve body control and calm wheelspin, but torque steer was as bad as ever. 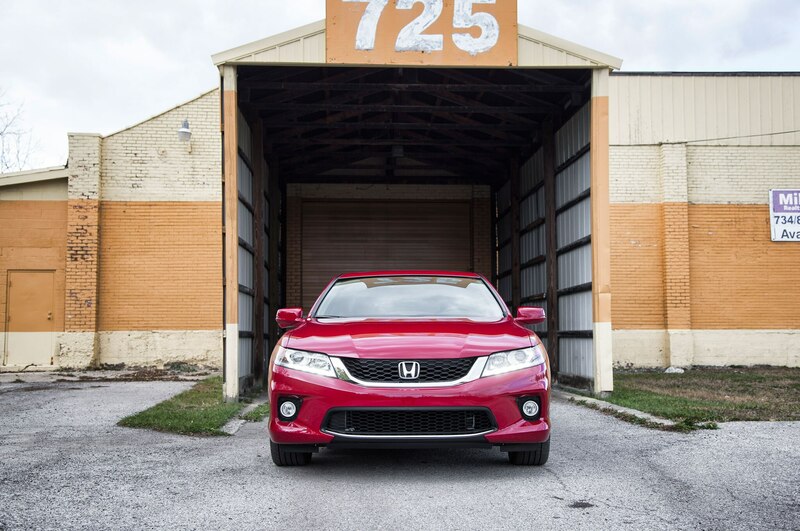 Most staffers felt that, for $4,200 plus installation, this package was not the magic pill. 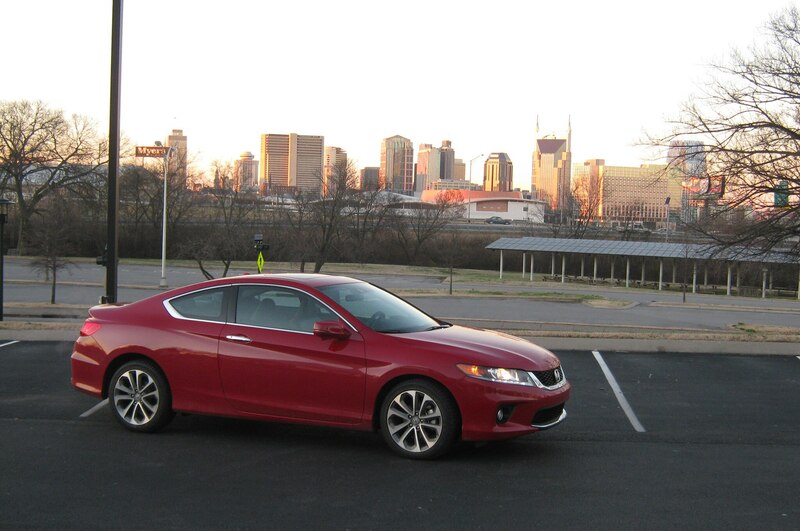 Instead, it was the arrival of a different 2014 Honda Accord that showed us the error of our ways. 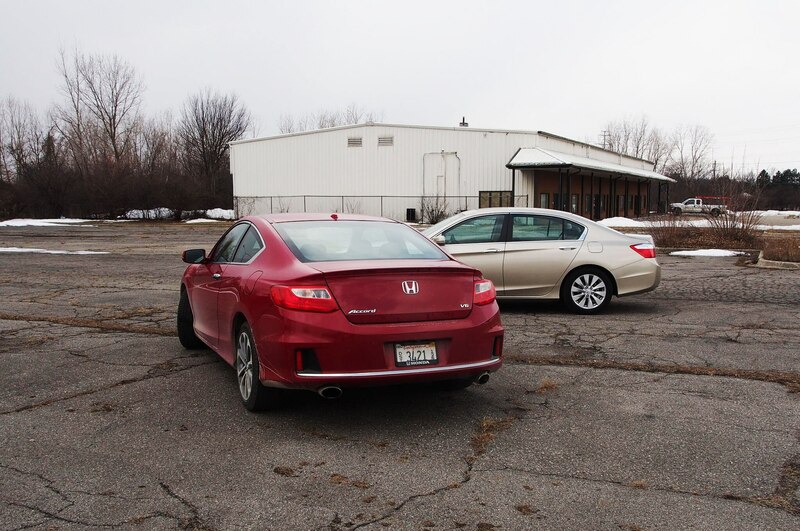 The EX sedan was as unassuming as can be, with a four-cylinder engine, an automatic transmission, and a cloth interior. 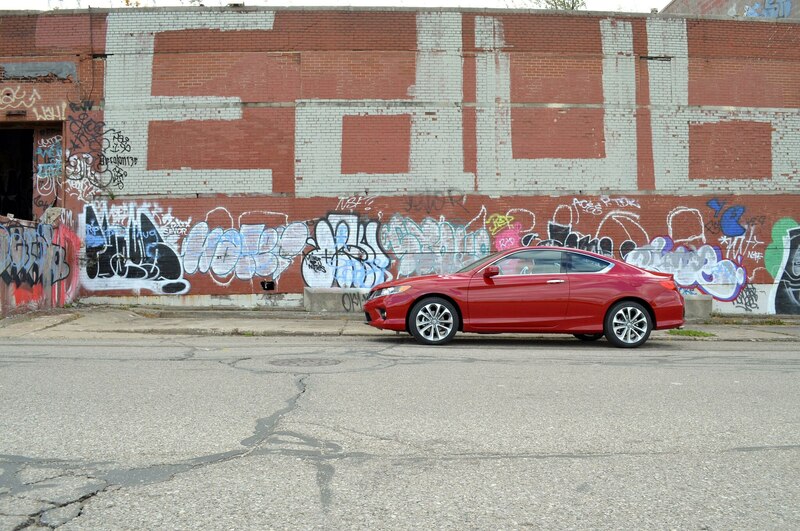 Naturally, it was beige. 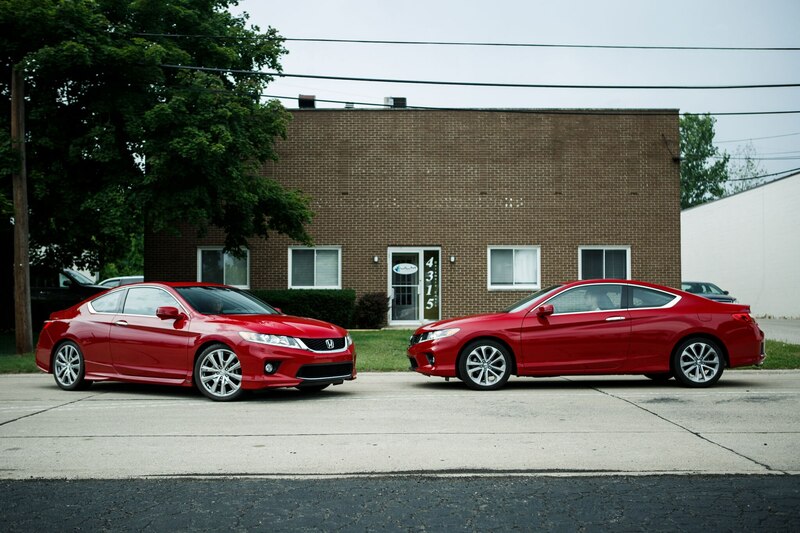 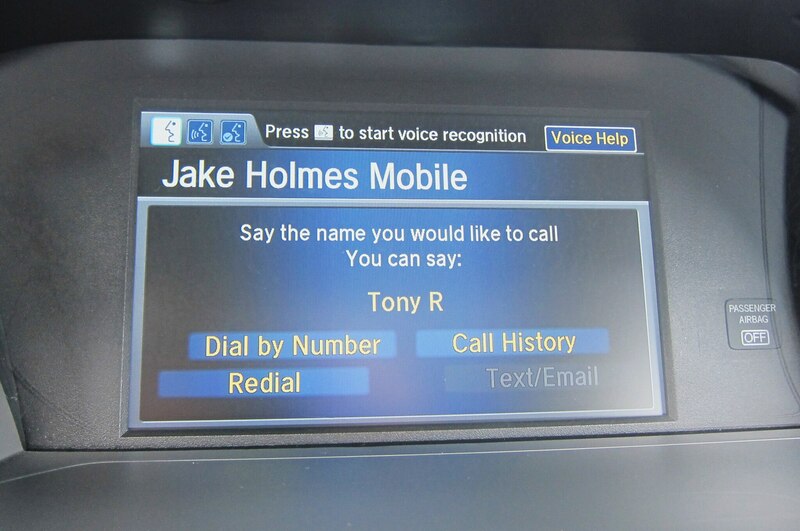 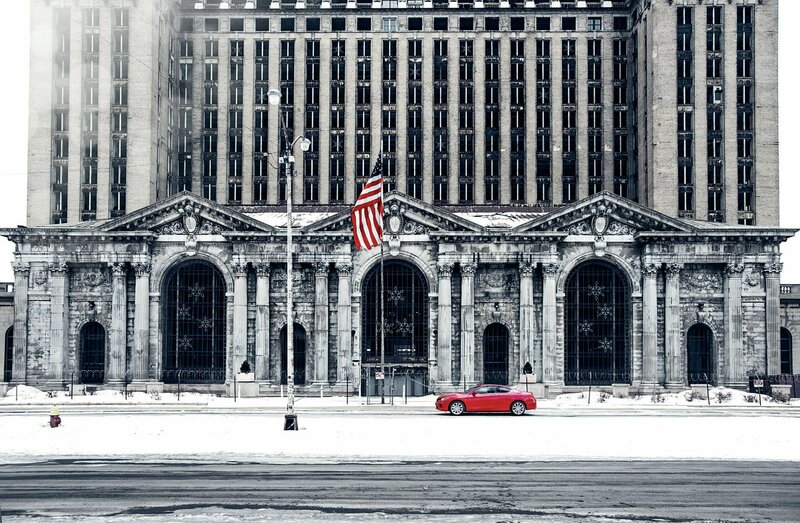 Nonetheless, it made clear that we had chosen the wrong version of the right car. 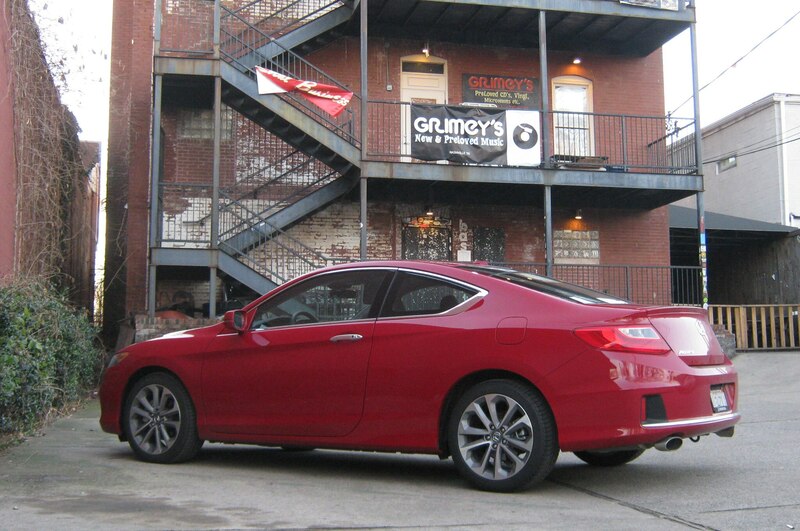 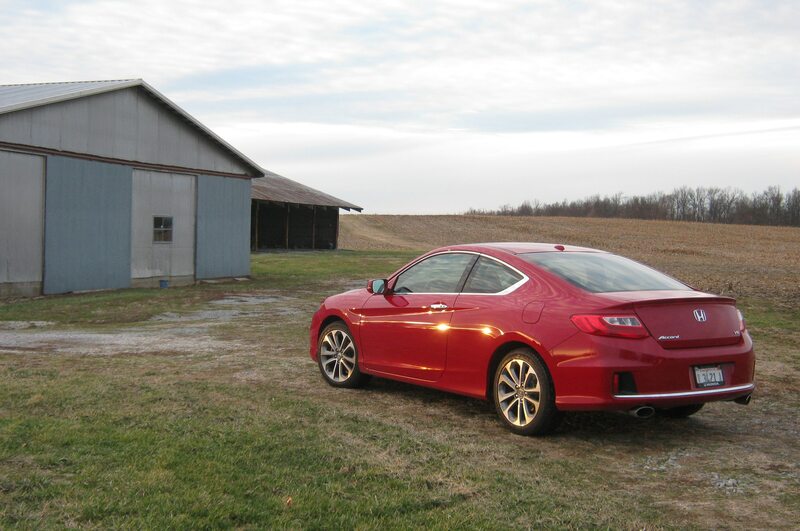 “An 800-mile round trip to Louisville reminded me what I find so attractive about the seriously unsexy Accord sedan,” said road test editor Chris Nelson, who then lavished praise on the sedan’s great visibility, its roomy cabin, its balanced chassis, and even its unobtrusive CVT. 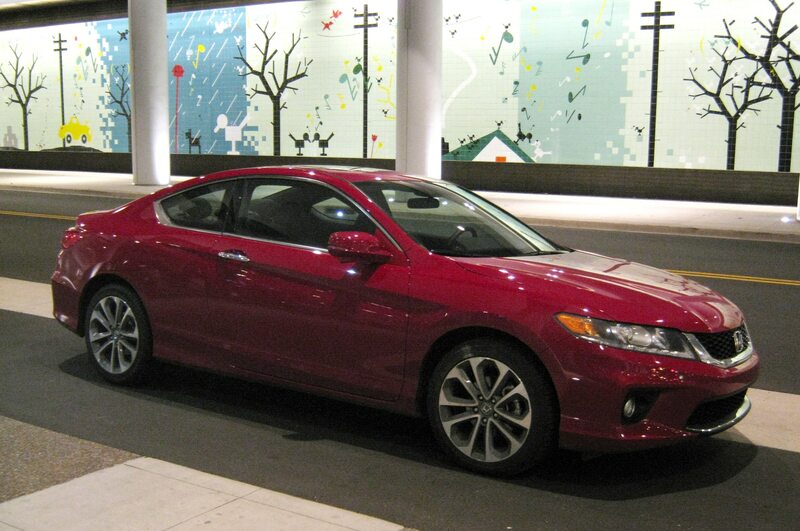 Here at last was the All-Star-winning Accord. 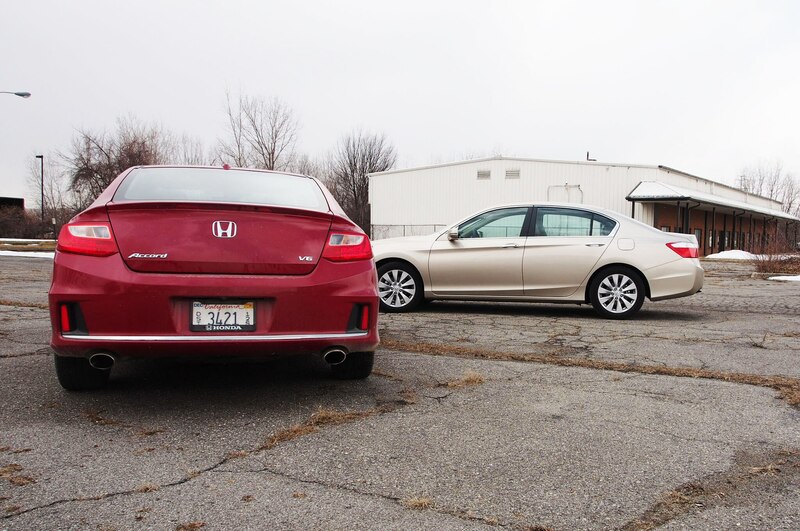 Beige beauty: Much as we wanted to champion the stick-shift, V-6 Accord, the truth is the four-cylinder, automatic sedan is a better car. 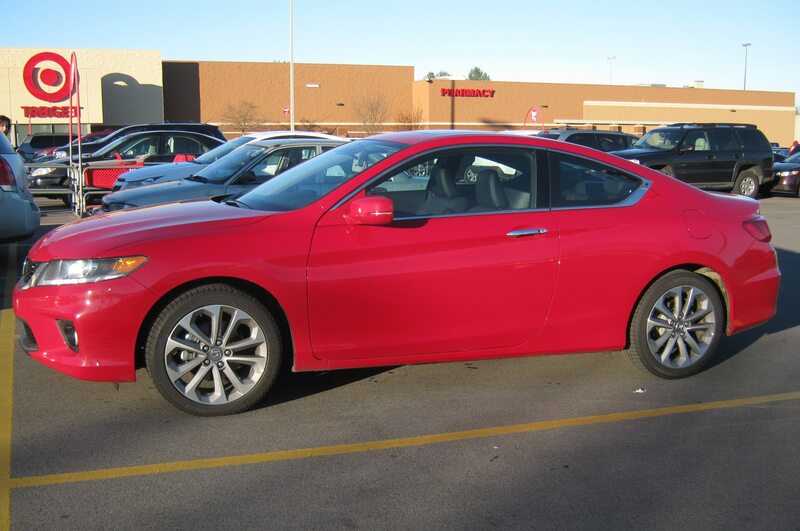 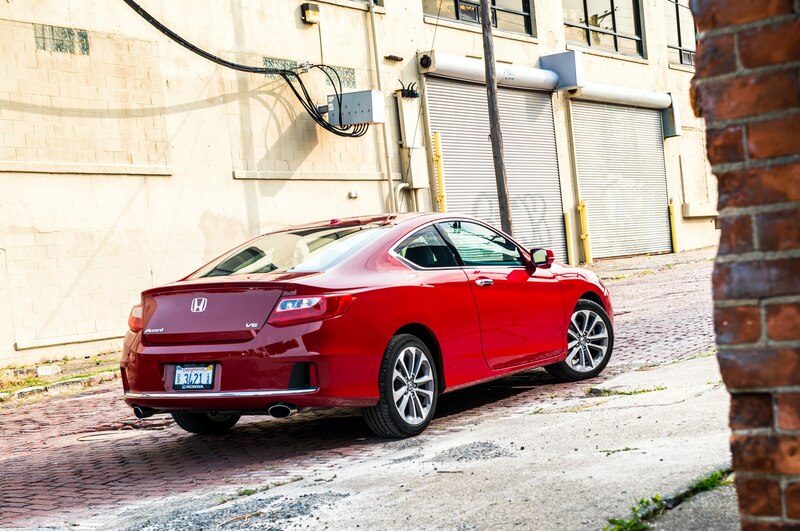 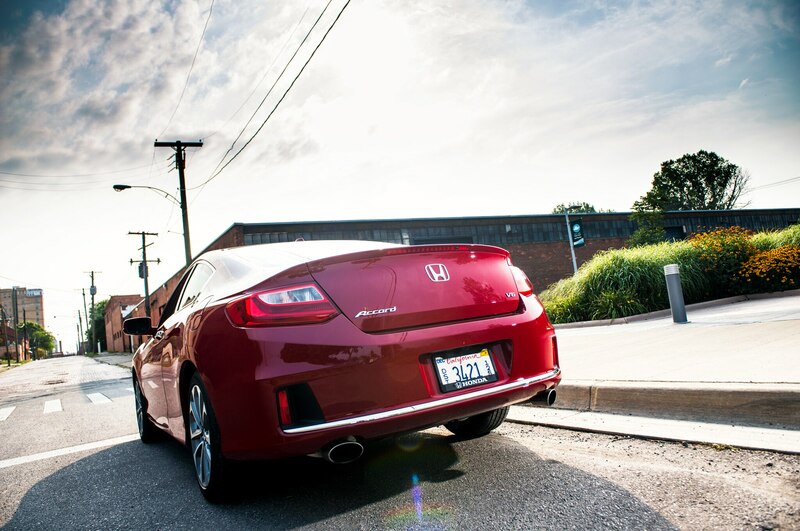 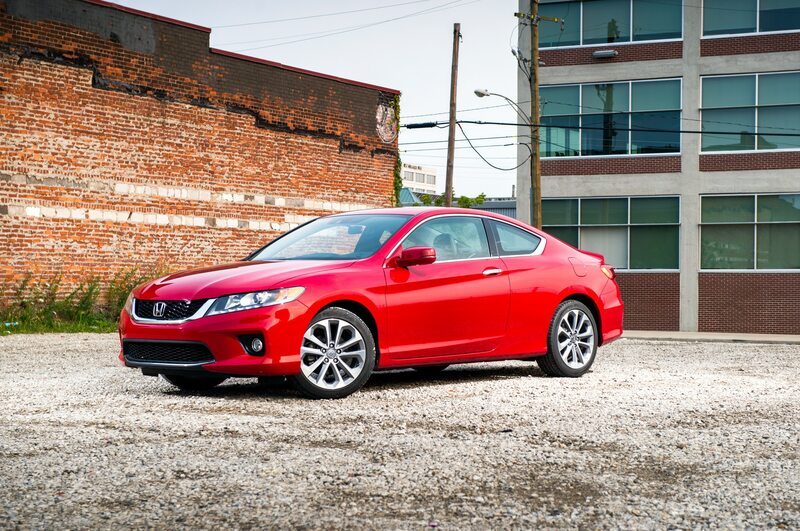 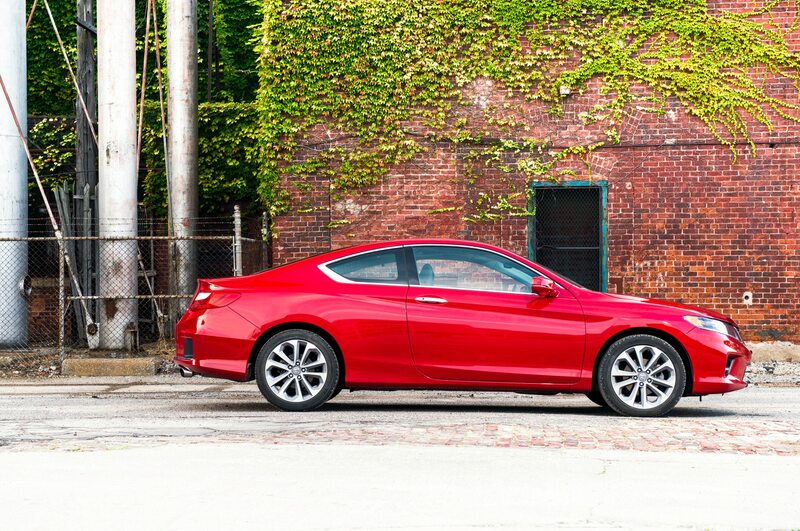 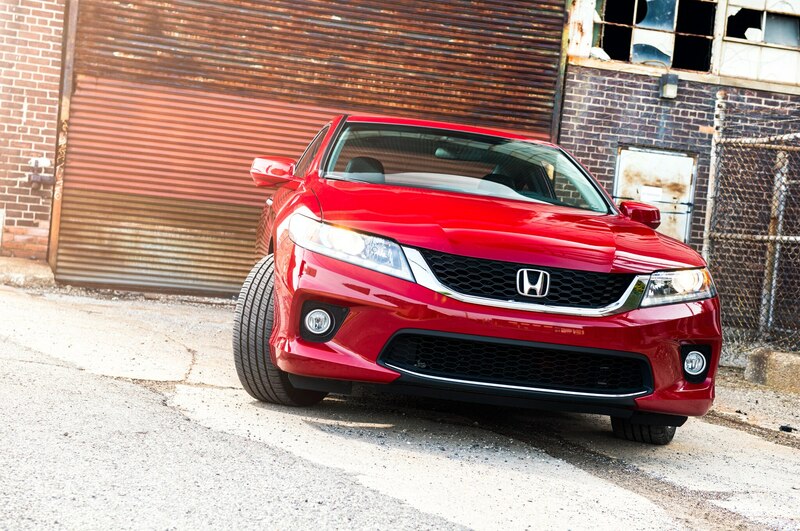 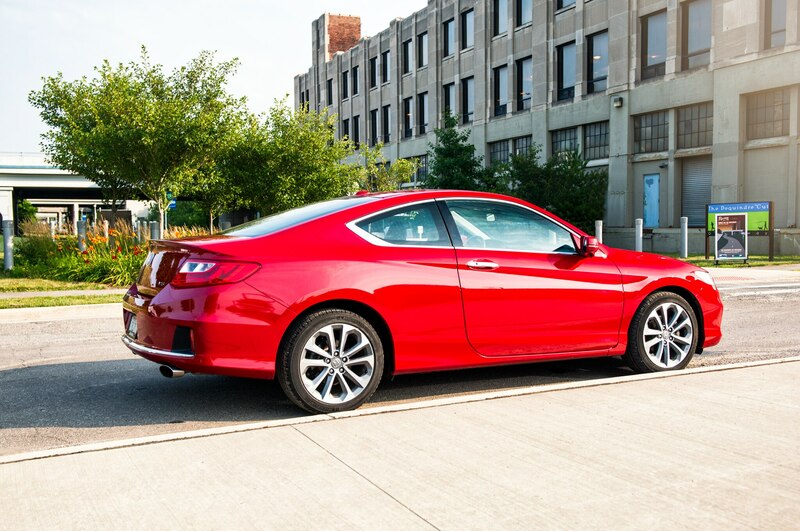 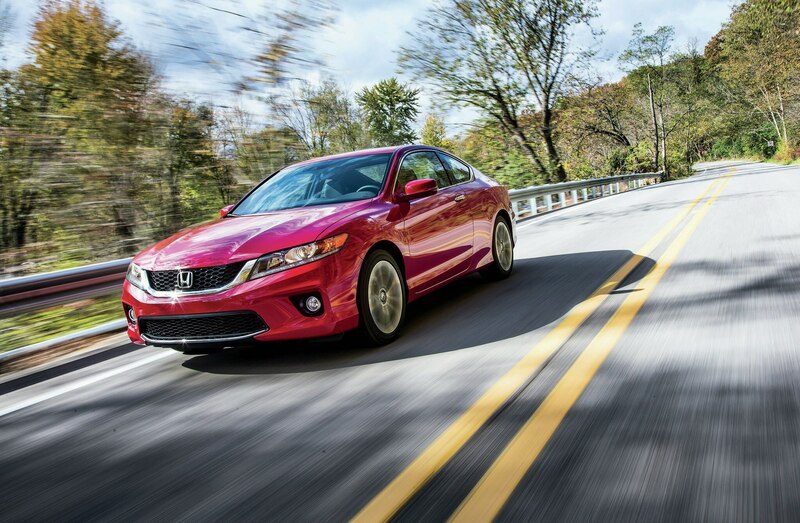 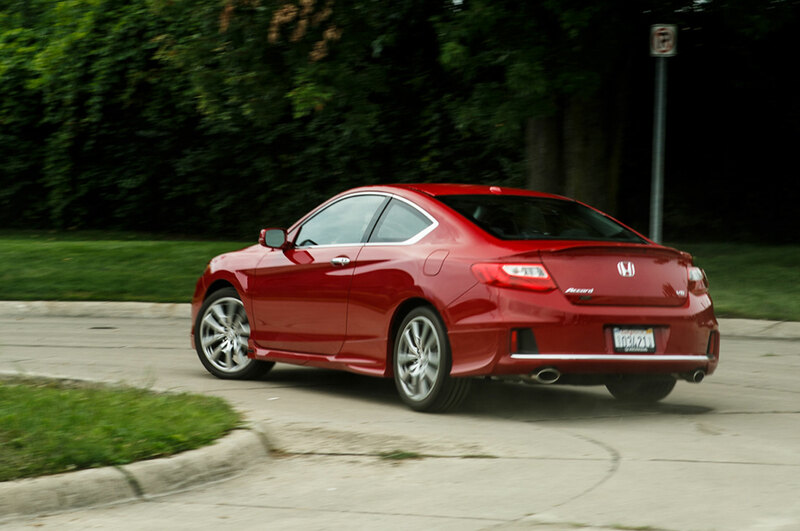 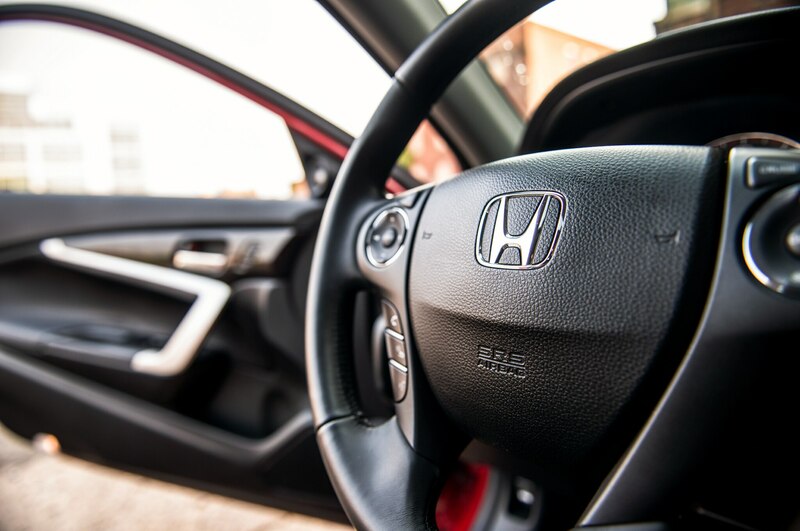 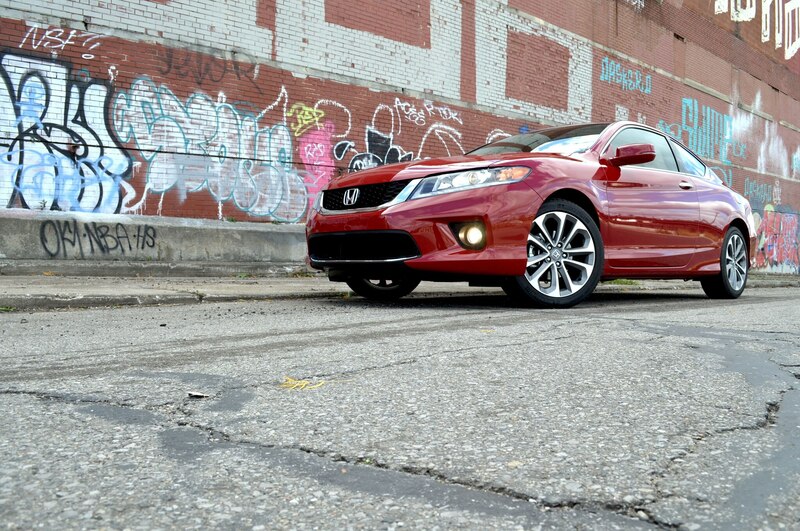 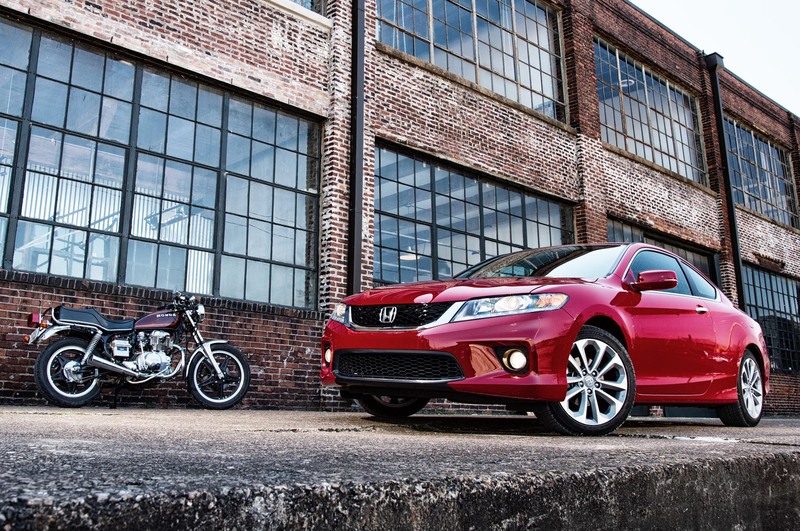 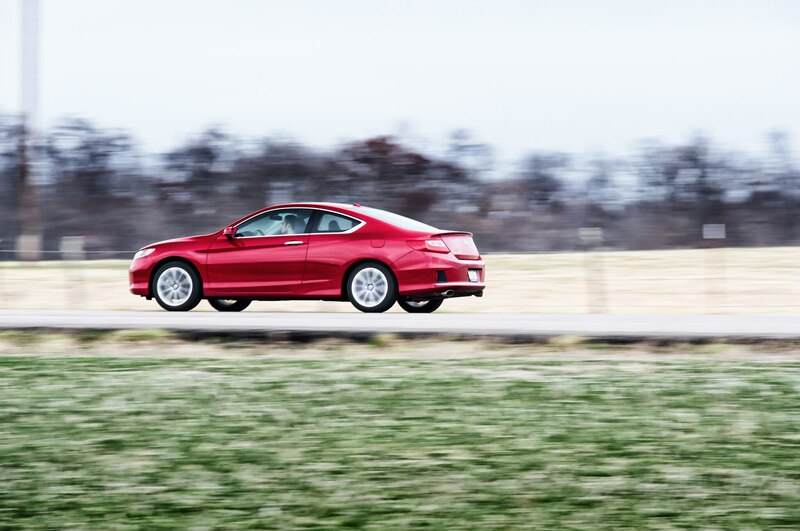 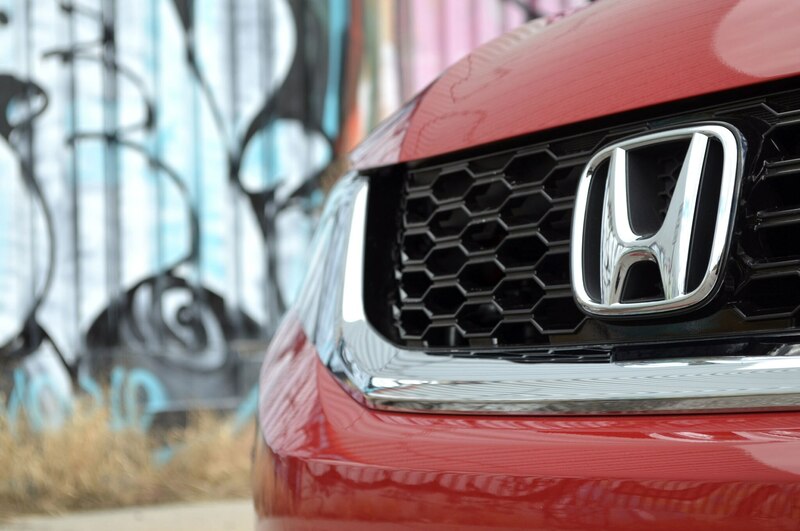 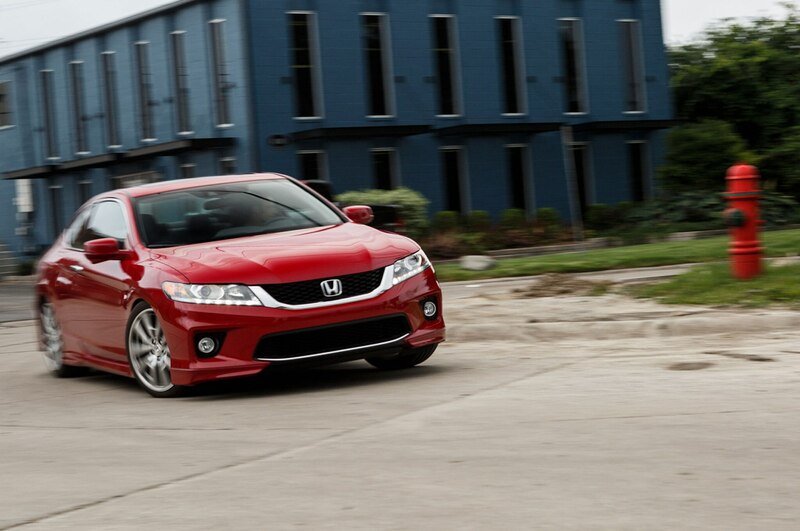 We love the fact that Honda still offers a V-6 engine, a manual transmission, and a coupe body for the Accord. 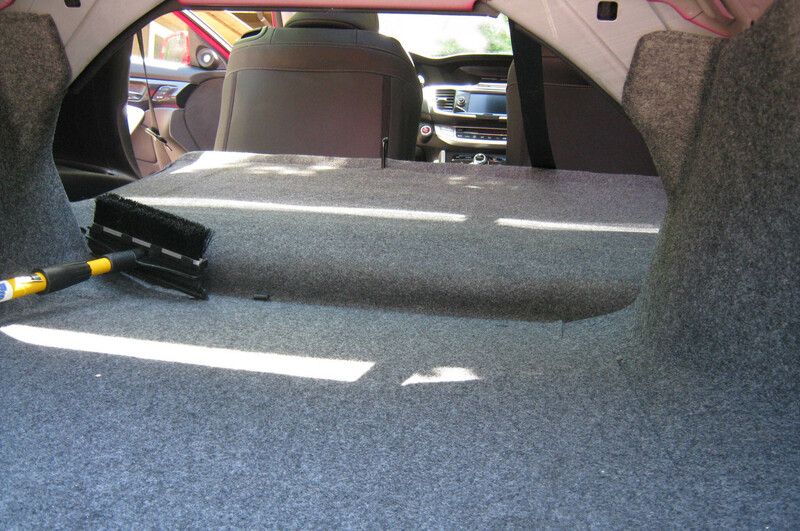 But we can’t deny that our experience with that extreme-enthusiast’s specification was disappointing. 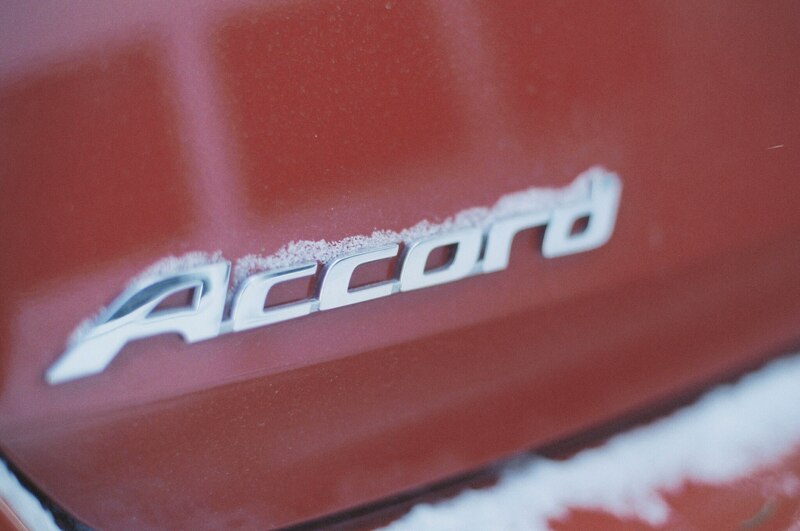 The really great Accord is, no surprise, the one you see everywhere on the street. 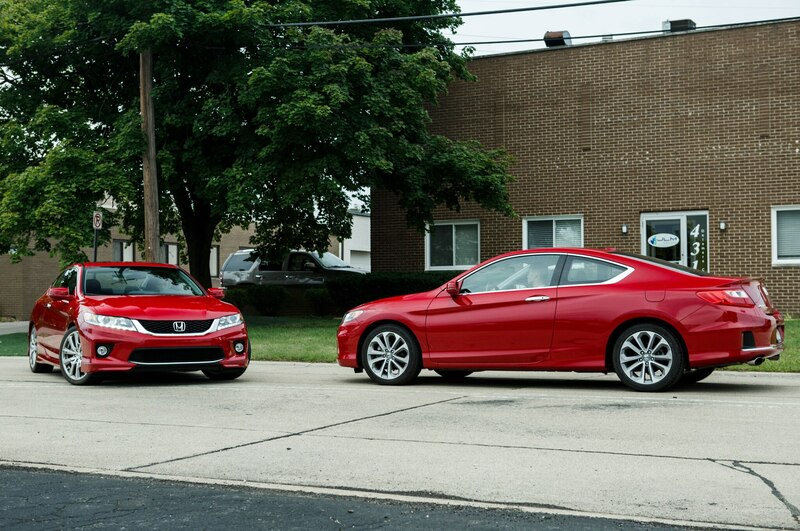 Turns out, the wisdom of the crowd proves pretty wise after all. 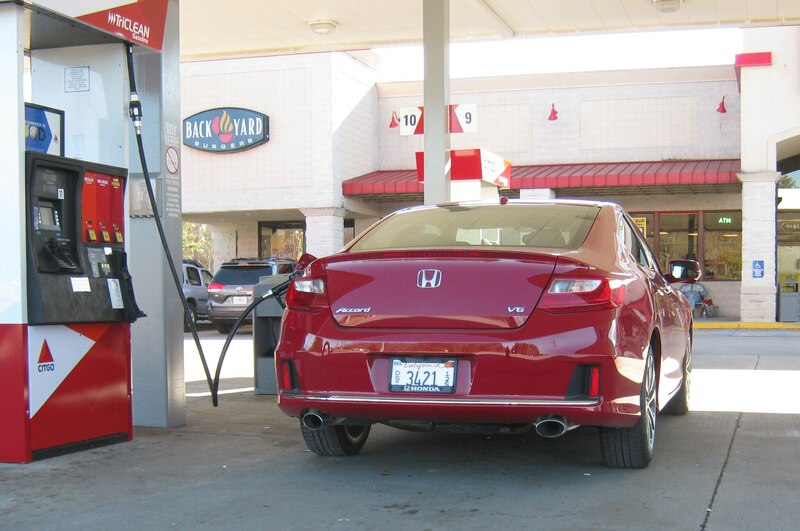 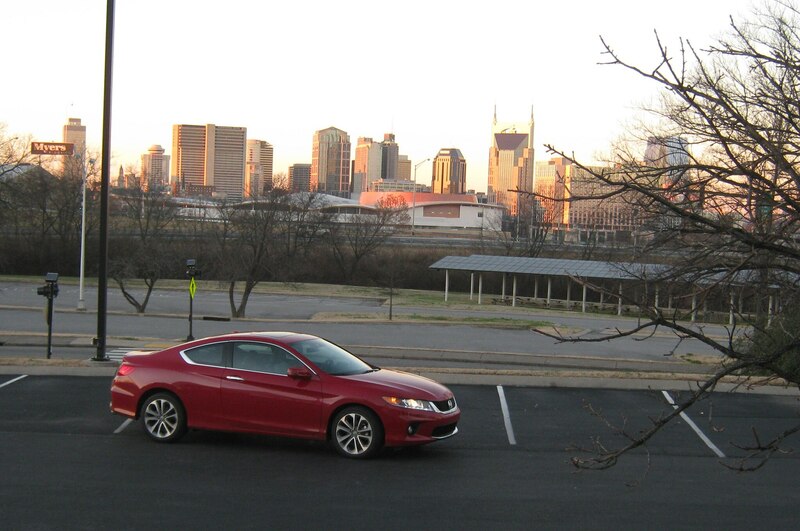 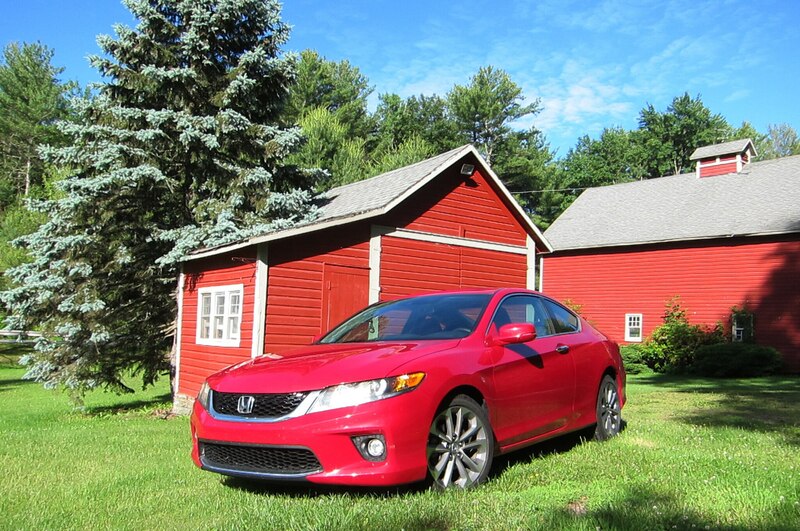 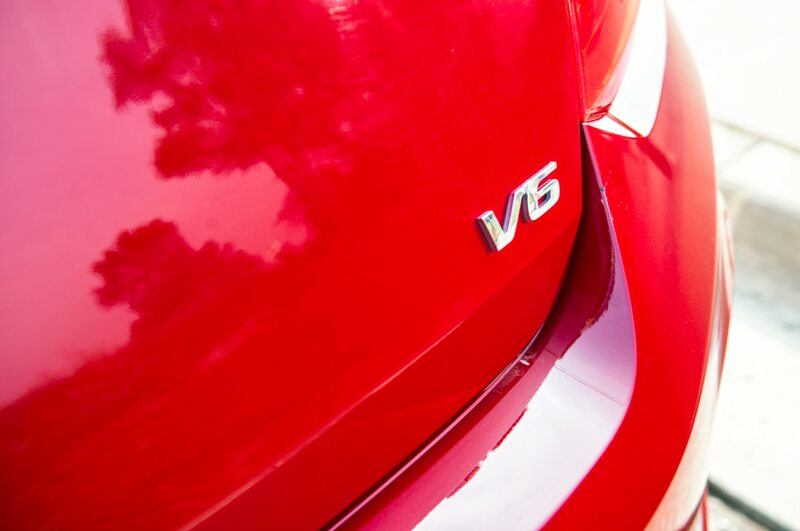 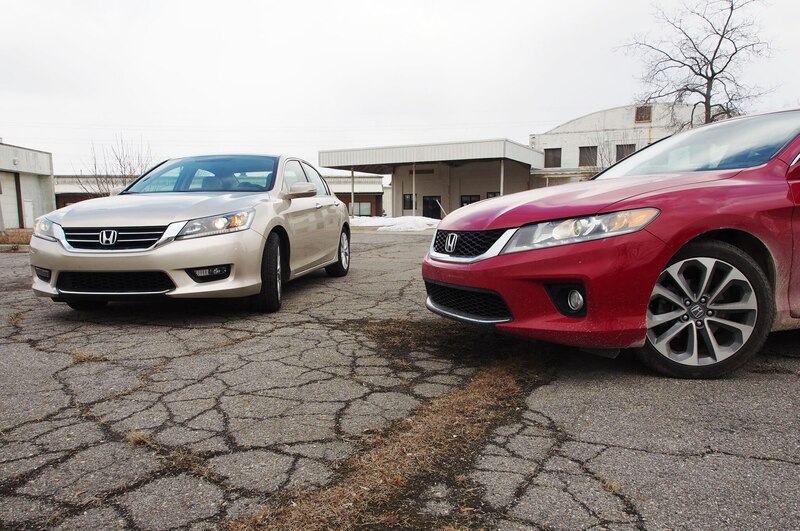 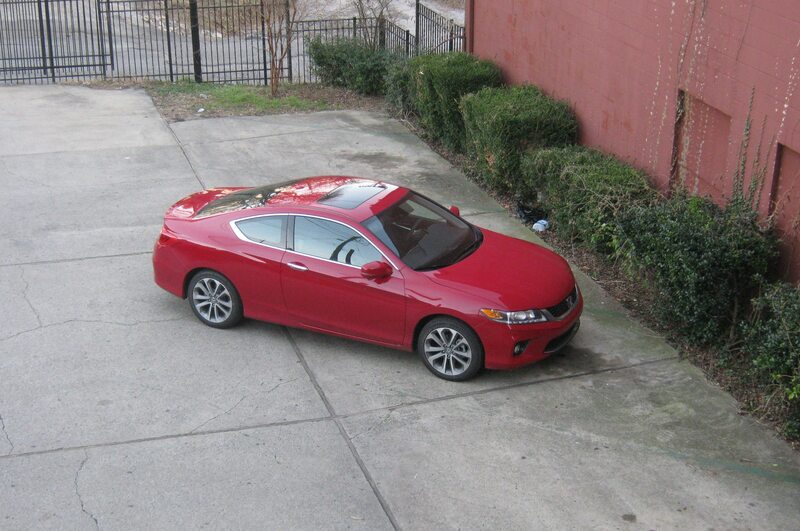 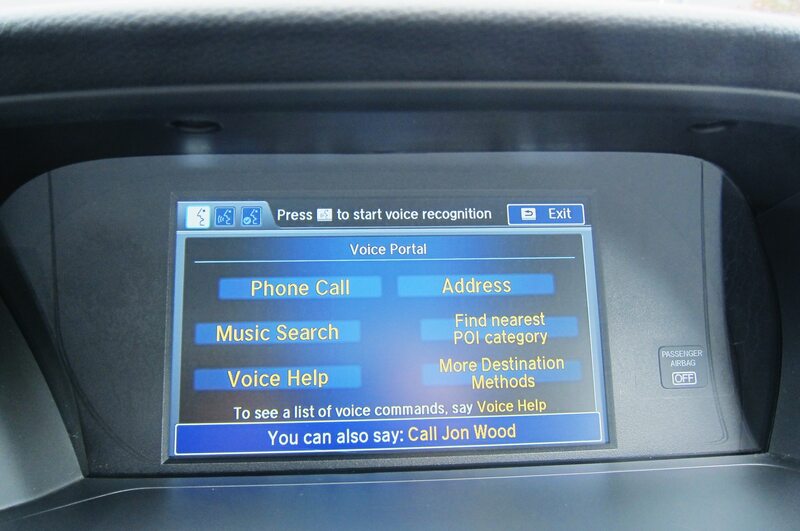 2014 Honda Accord EX-L V-6 – Too Much Power? 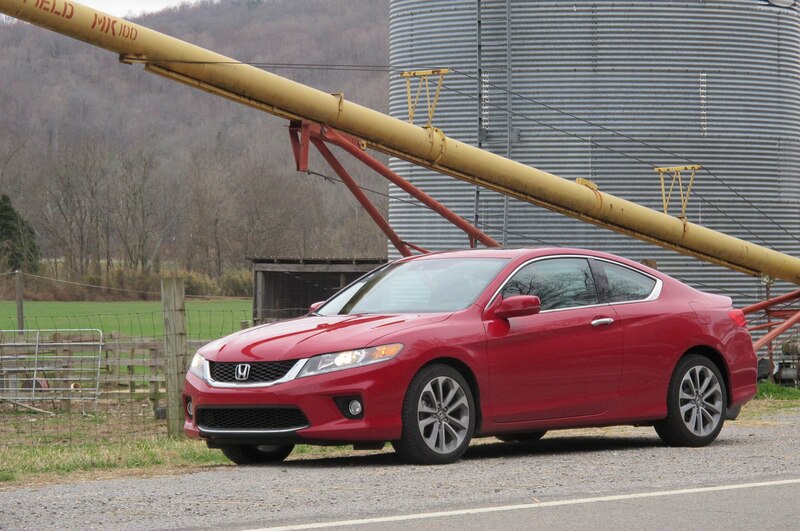 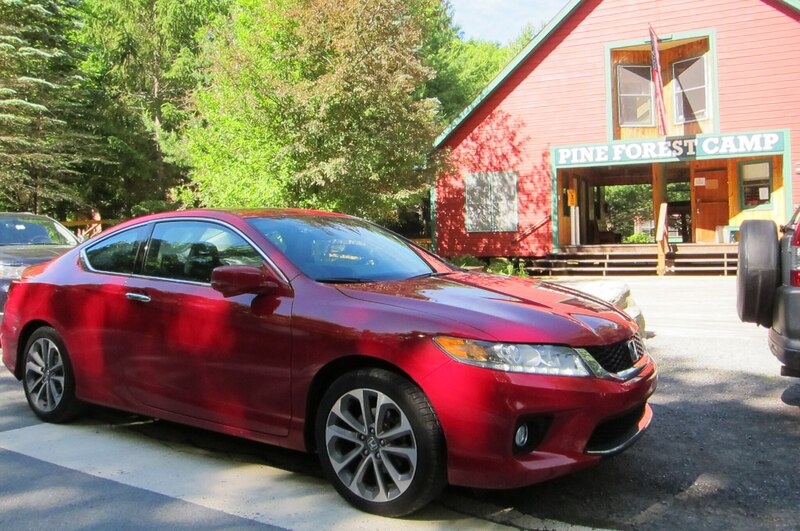 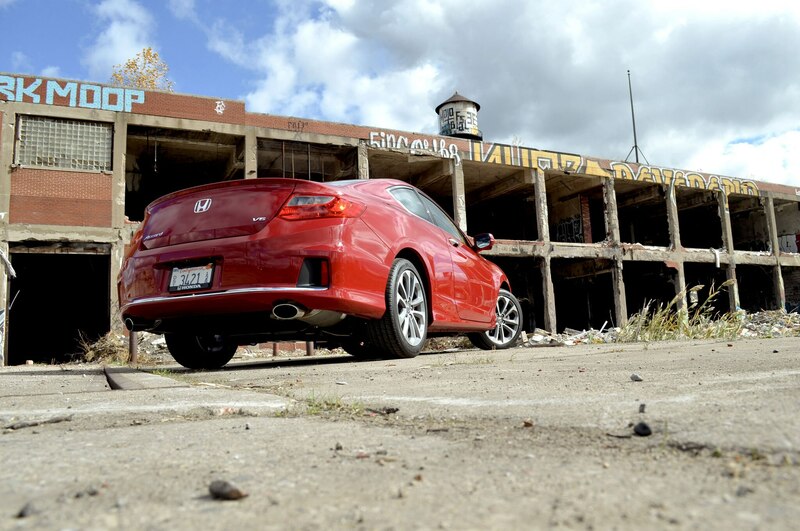 2014 Honda Accord EX-L V-6 – What About the Performance Package?